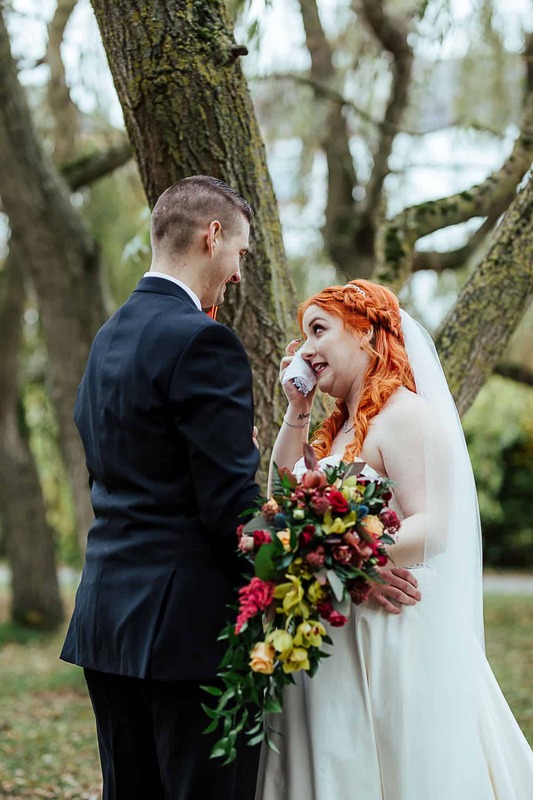 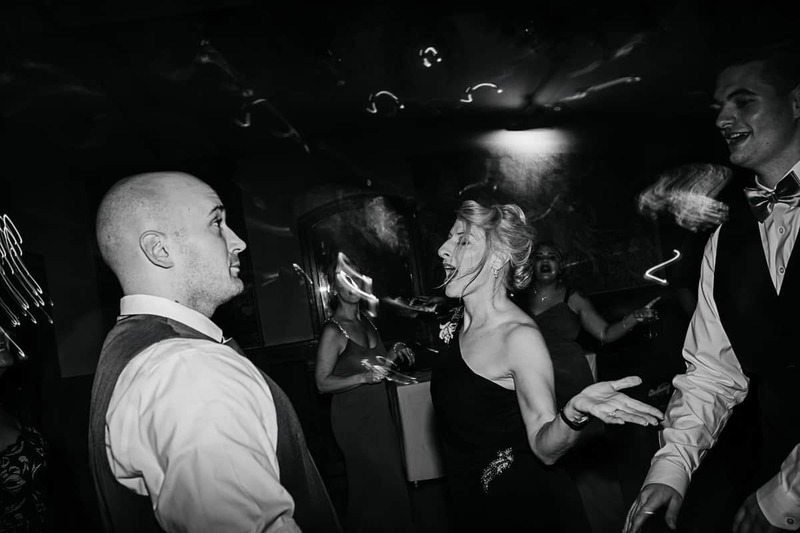 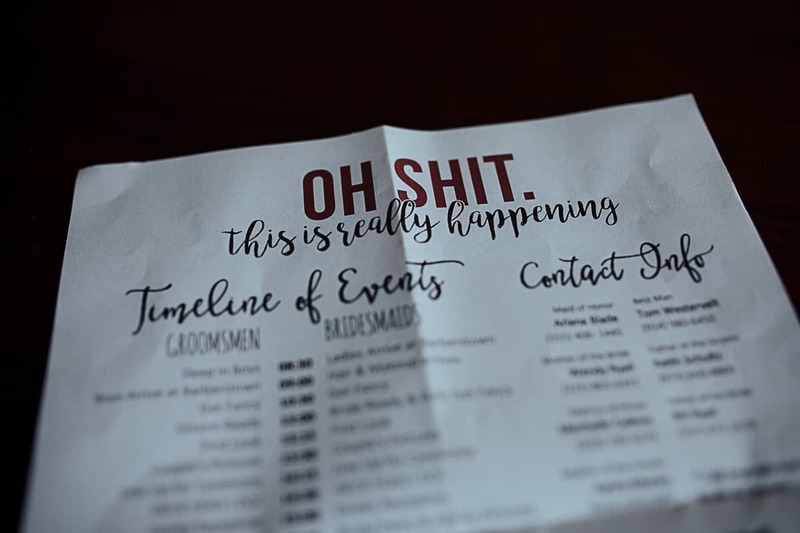 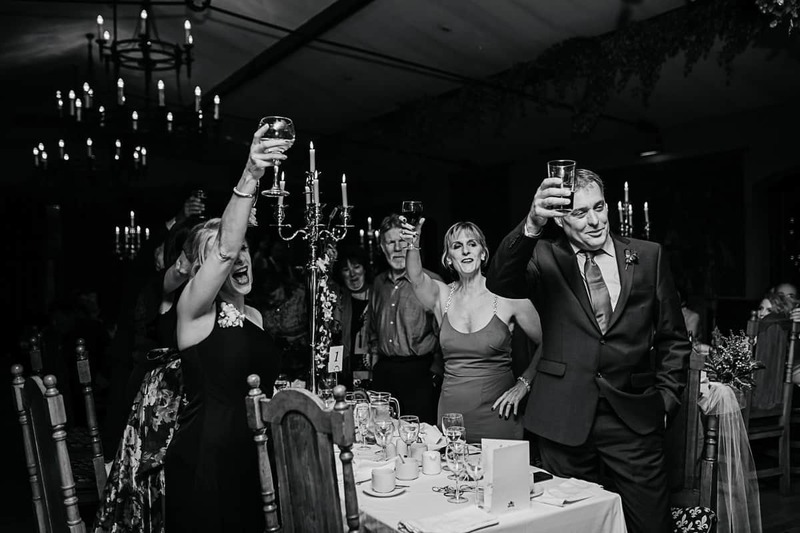 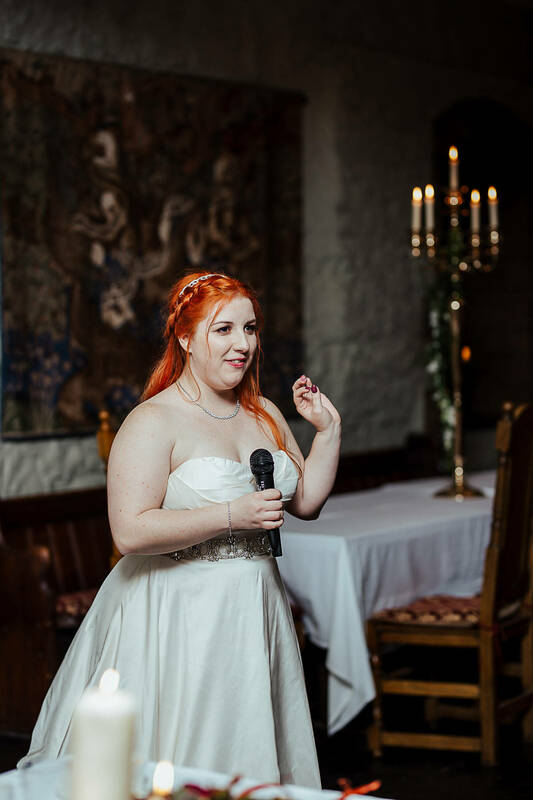 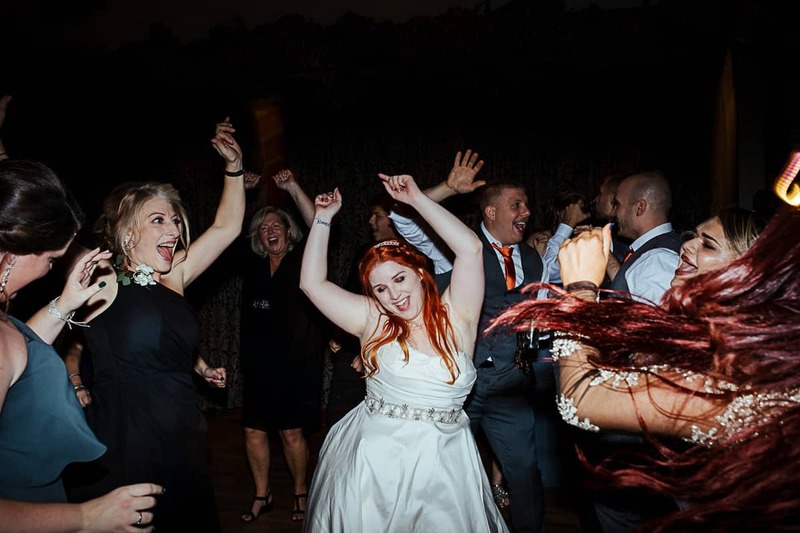 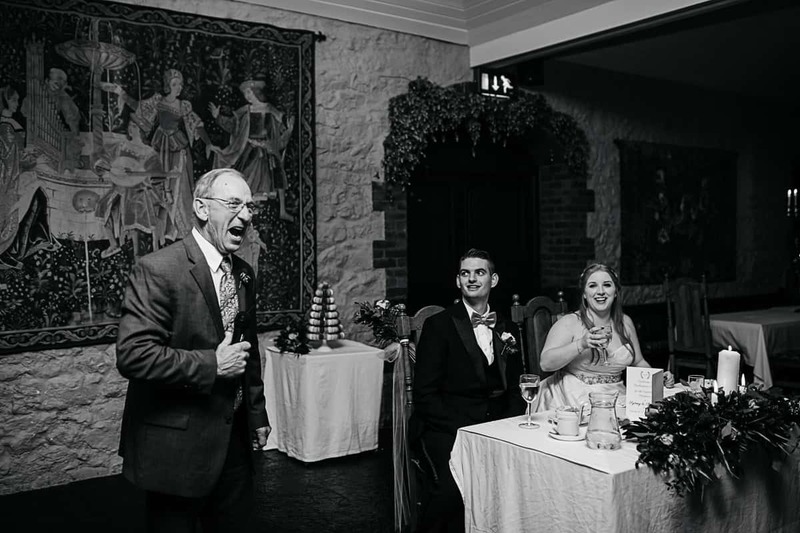 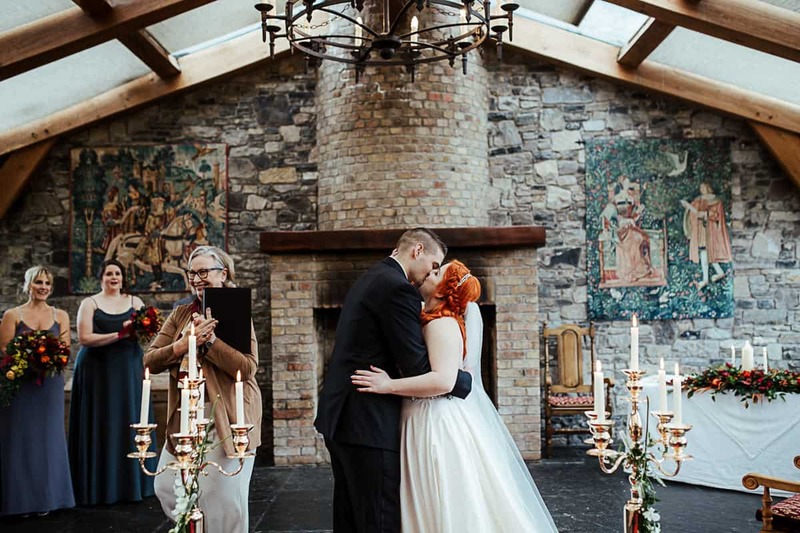 When Sydney and Chris’s venue in New York fell through, they decided to run away to Ireland instead! 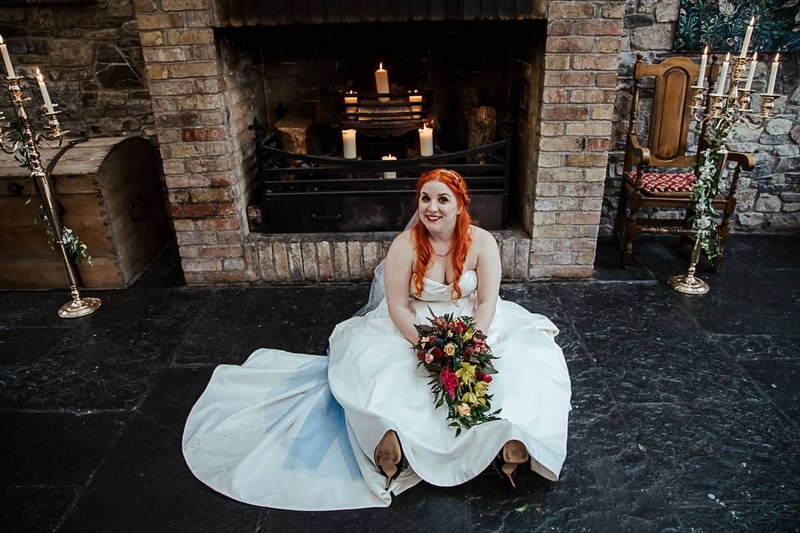 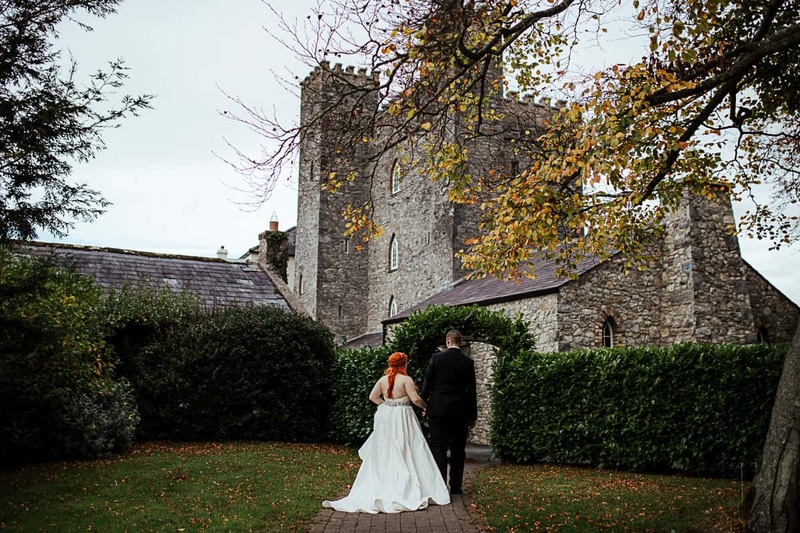 And what better place to tie the knot than a real historical Irish castle? 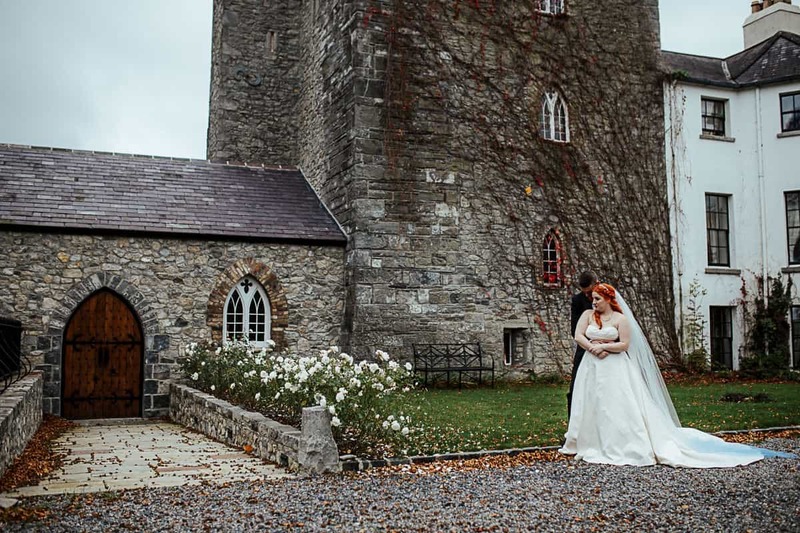 Irish castles are magical, and autumn gives them the ultimate charm. 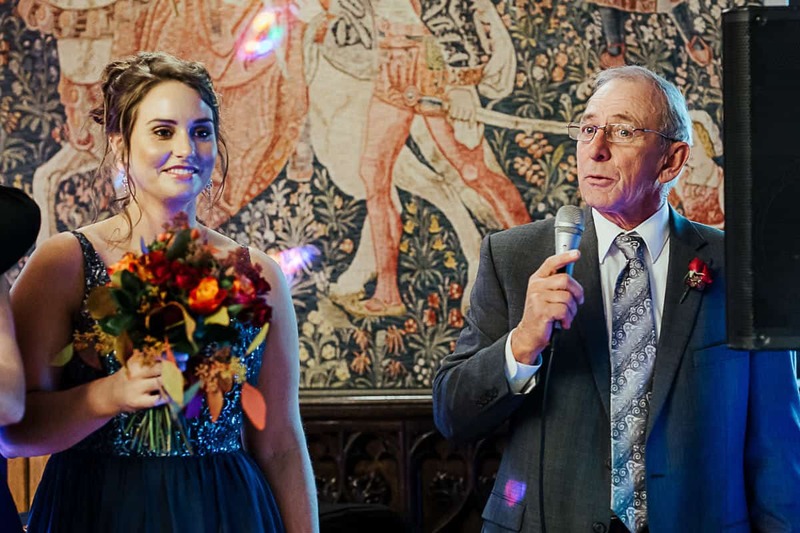 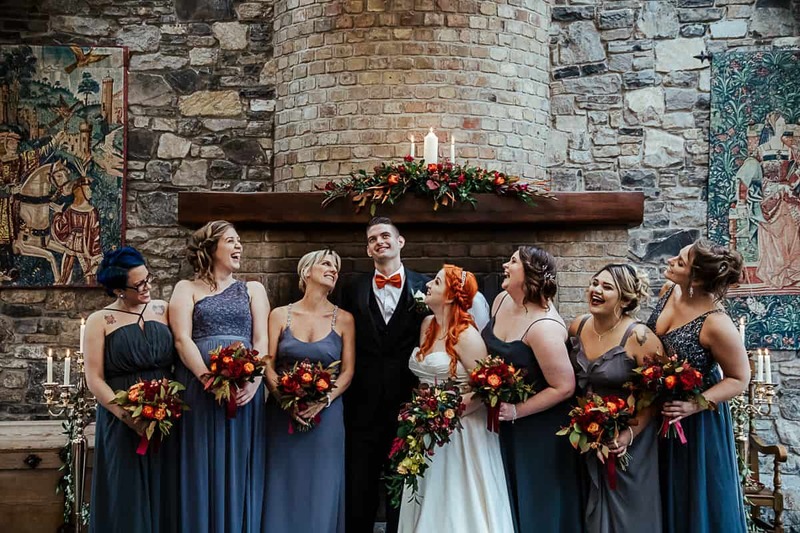 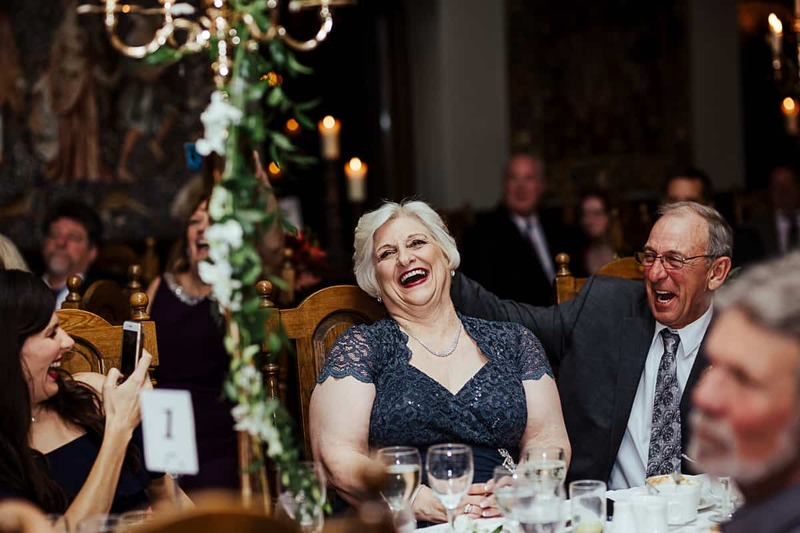 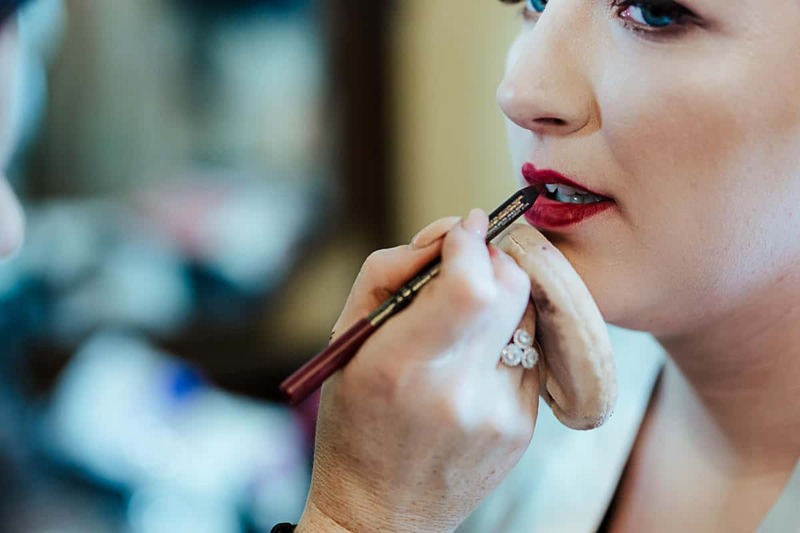 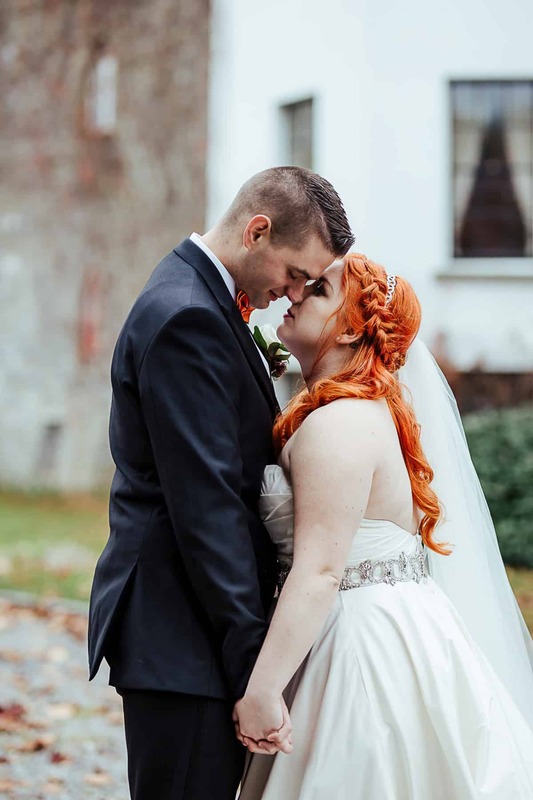 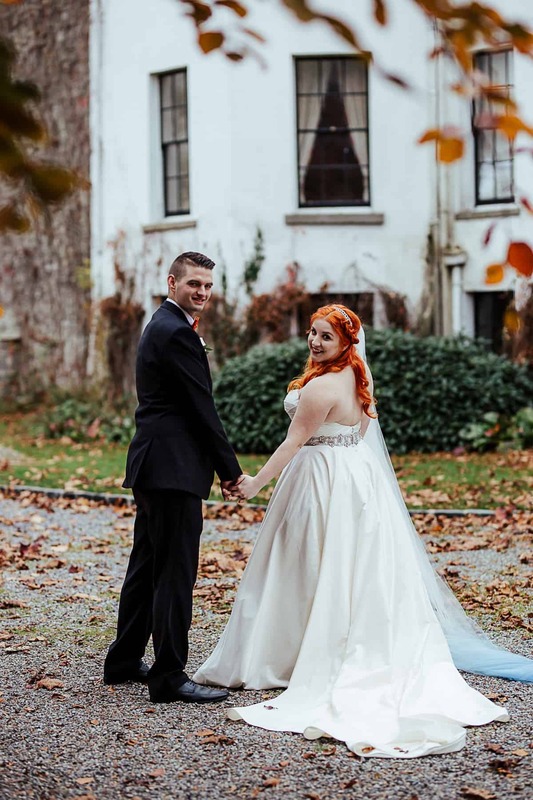 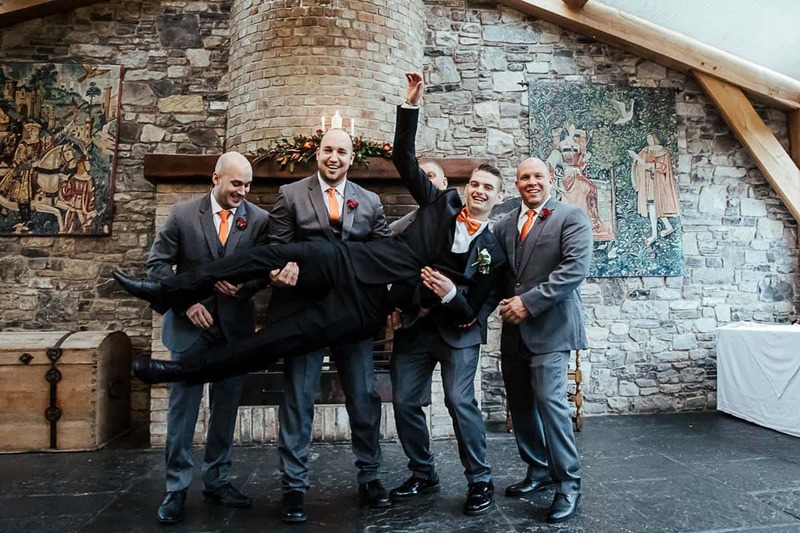 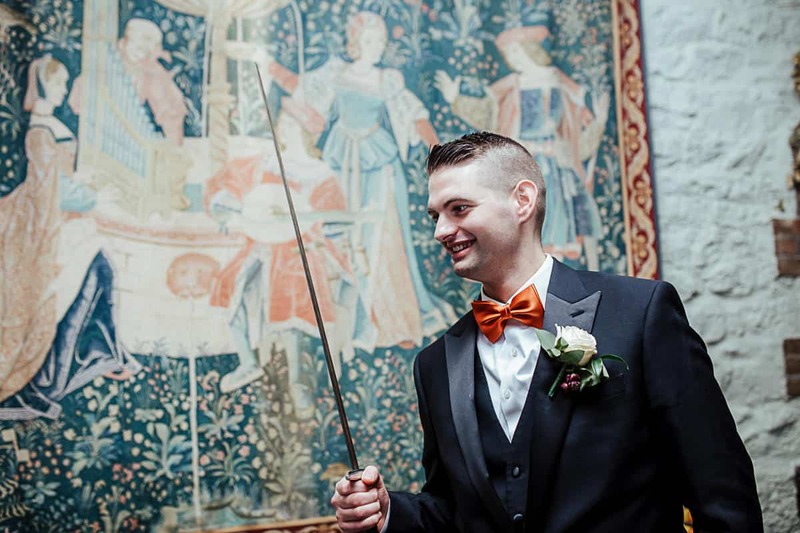 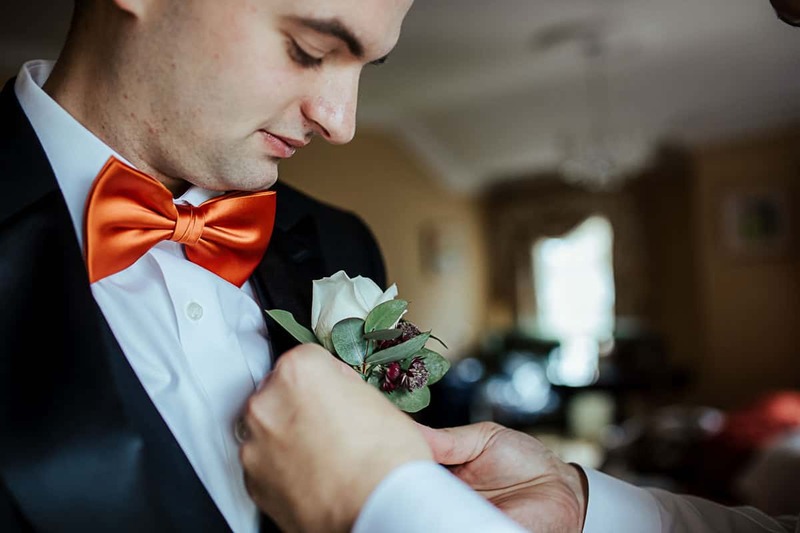 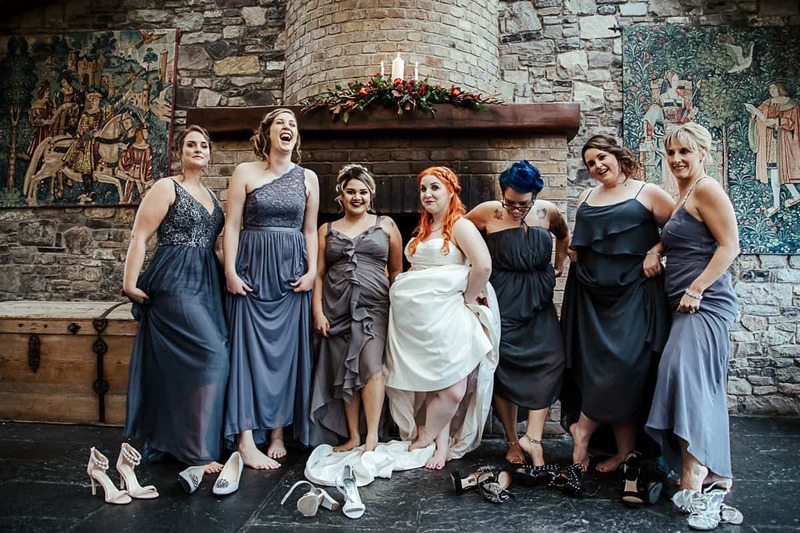 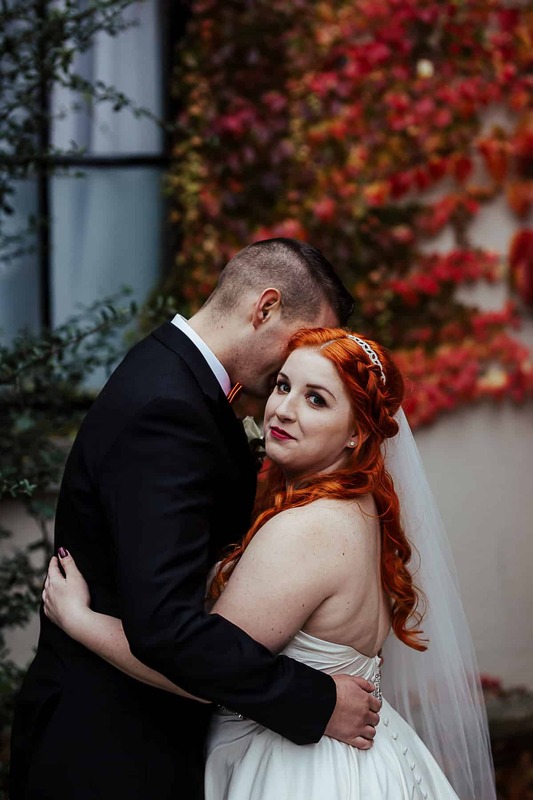 Their Barberstown Castle wedding made for a stunning and romantic destination wedding. 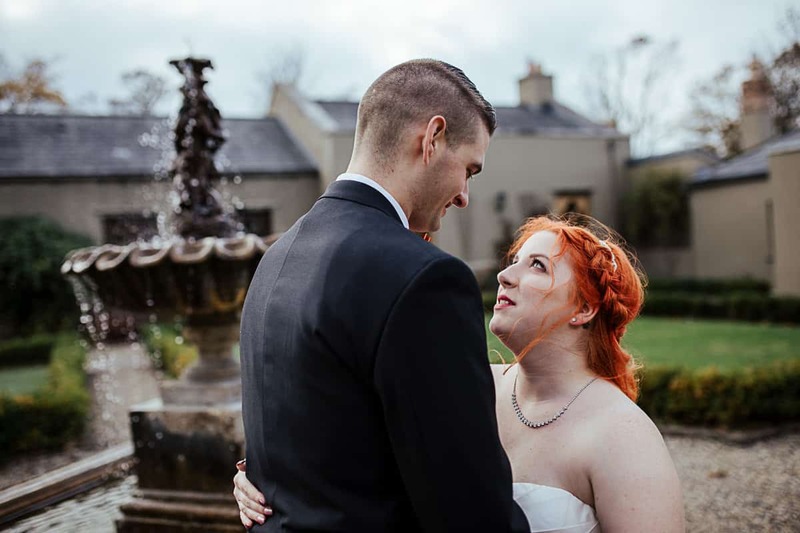 Sydney and Chris had quite an intimate wedding (by Irish standards) with 50 friends and family. 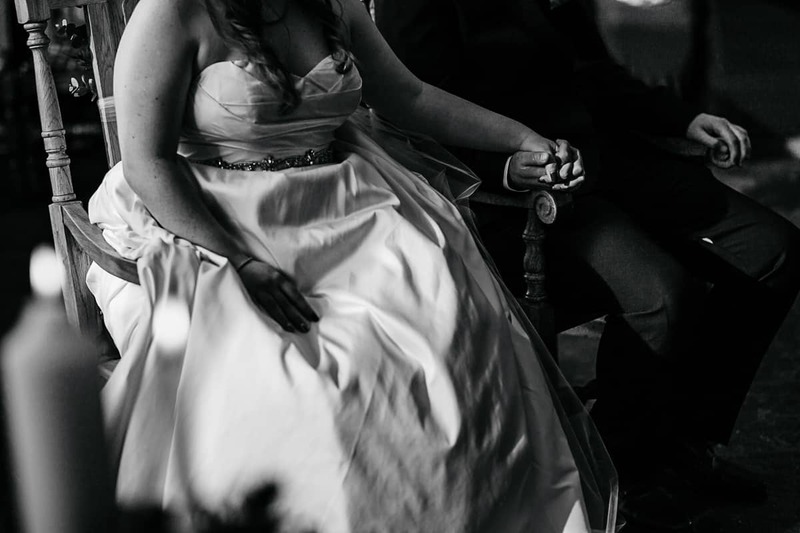 But it only made for a more intimate and more emotional day. 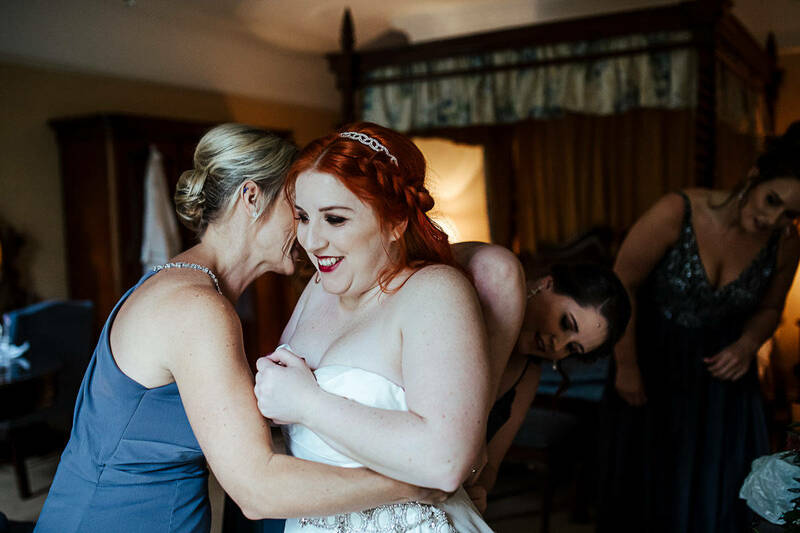 After a relaxed morning Sydney got into her regal wedding dress and spent time with the most important women in her family. 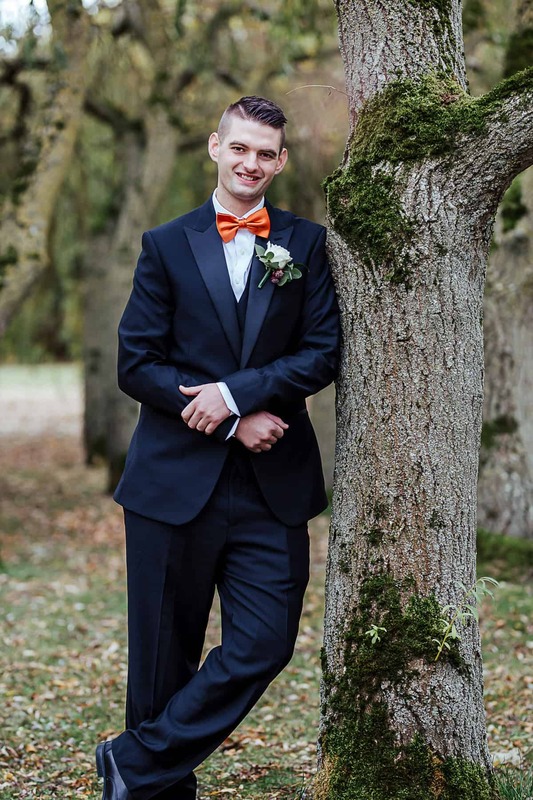 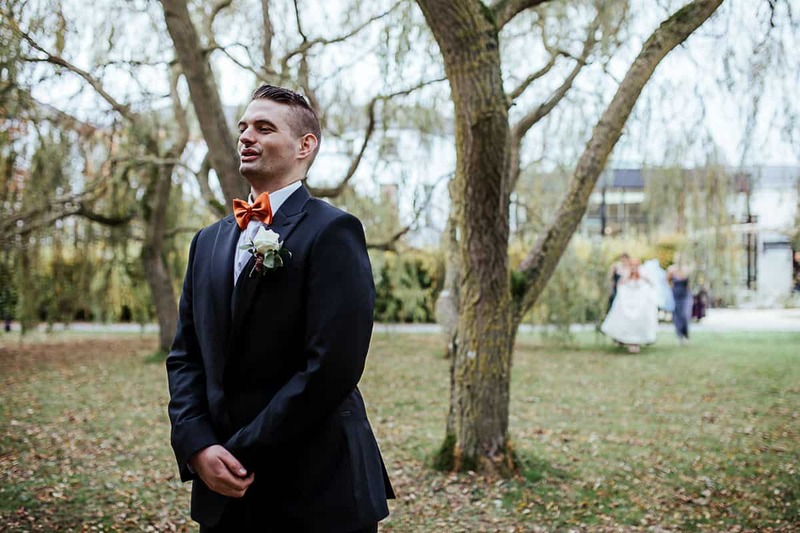 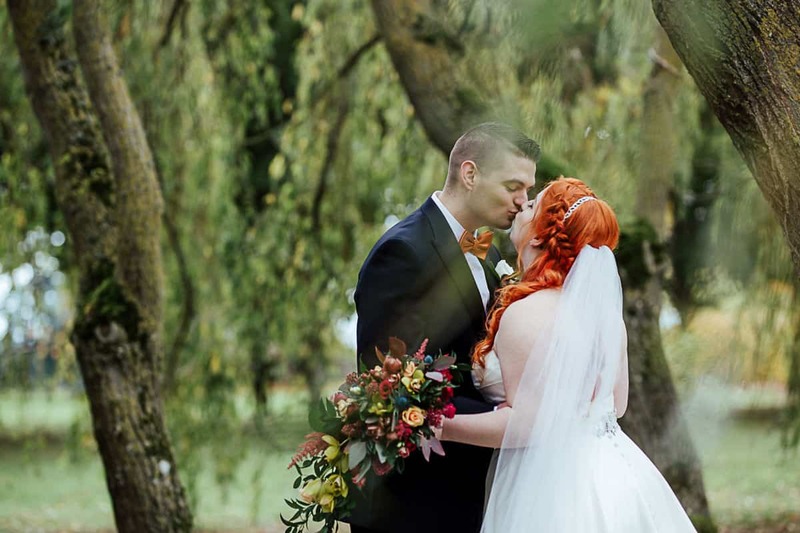 Chris was impatient to meet his bride, so we organized an intimate first look in the gardens. 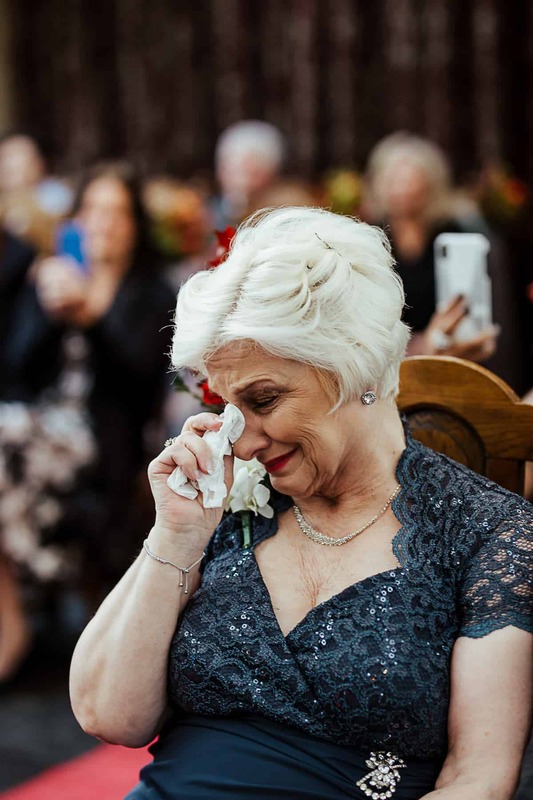 I was so touched by how emotional and blissful they both were! 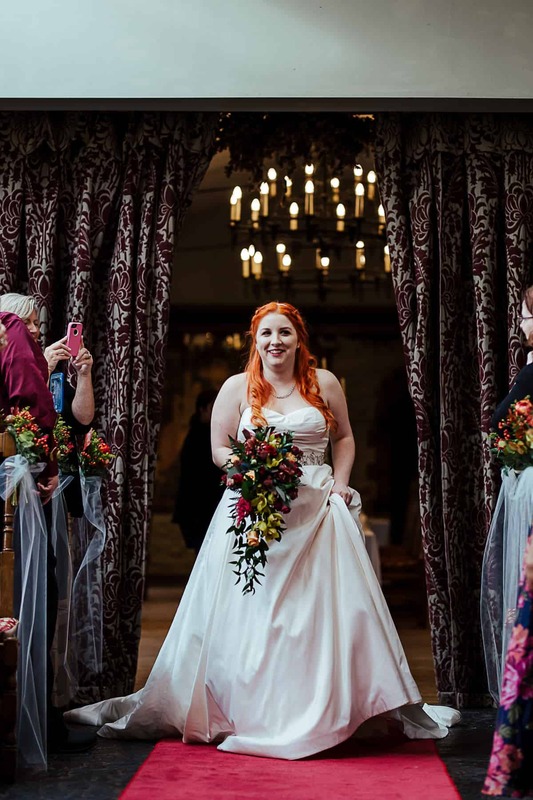 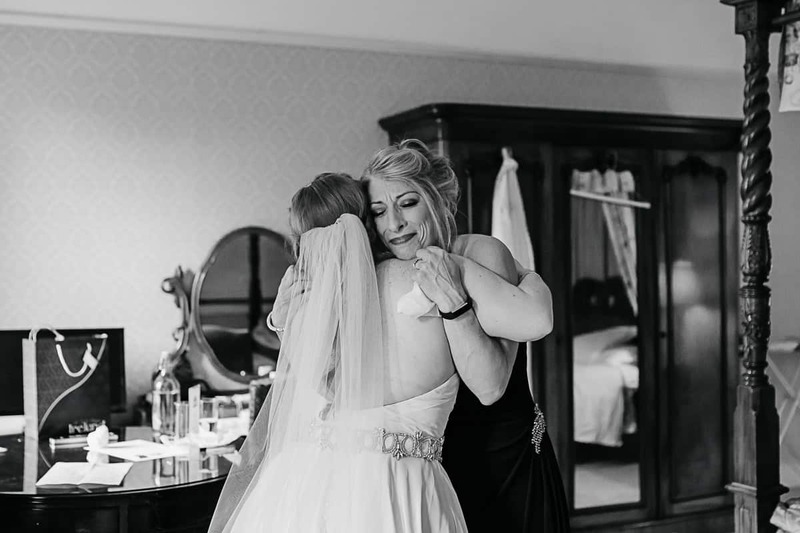 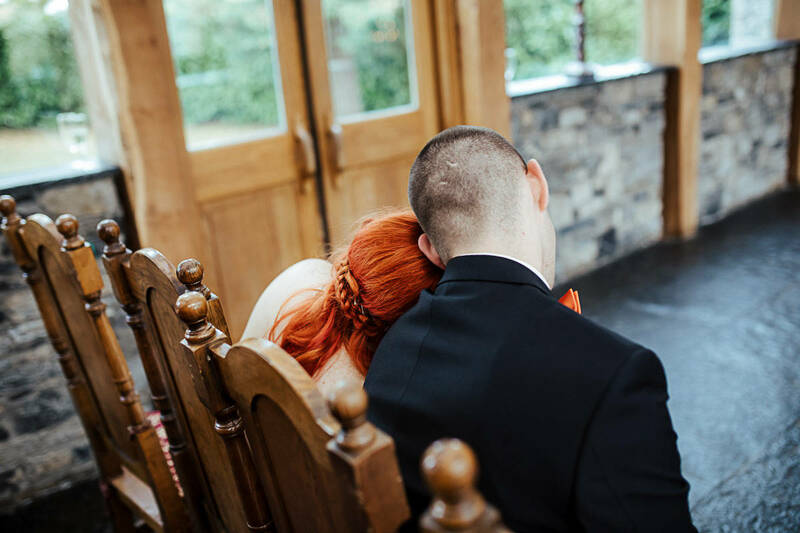 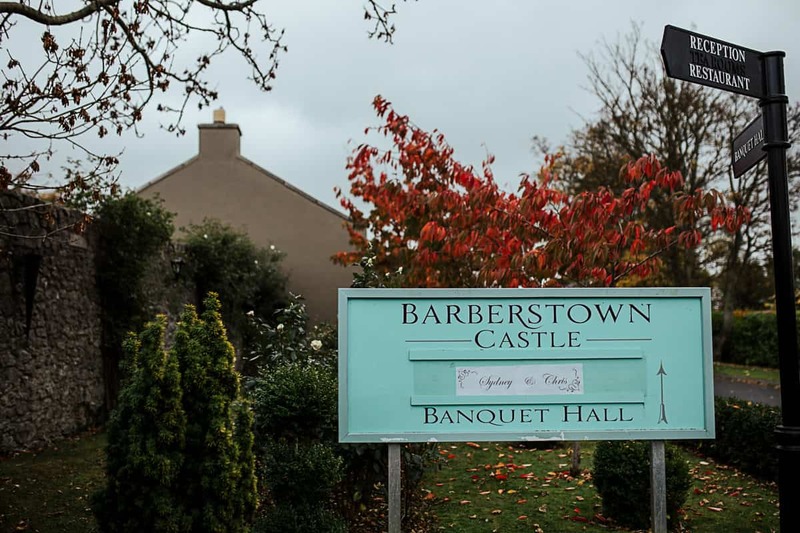 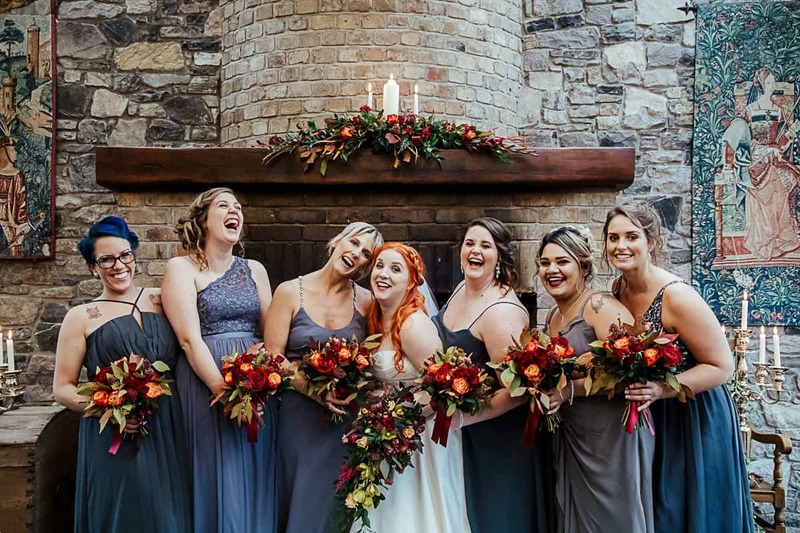 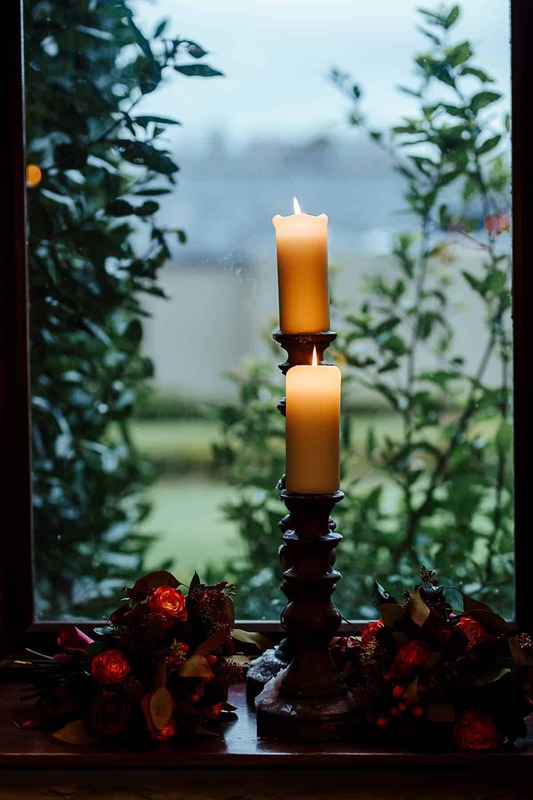 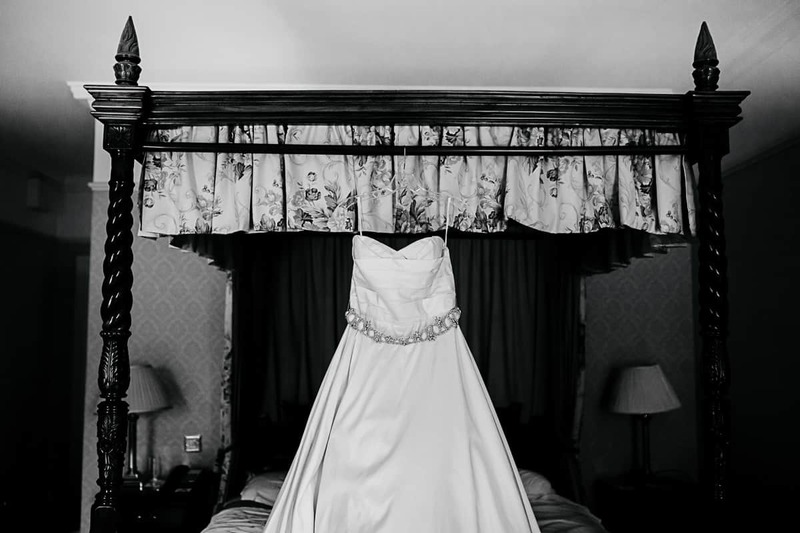 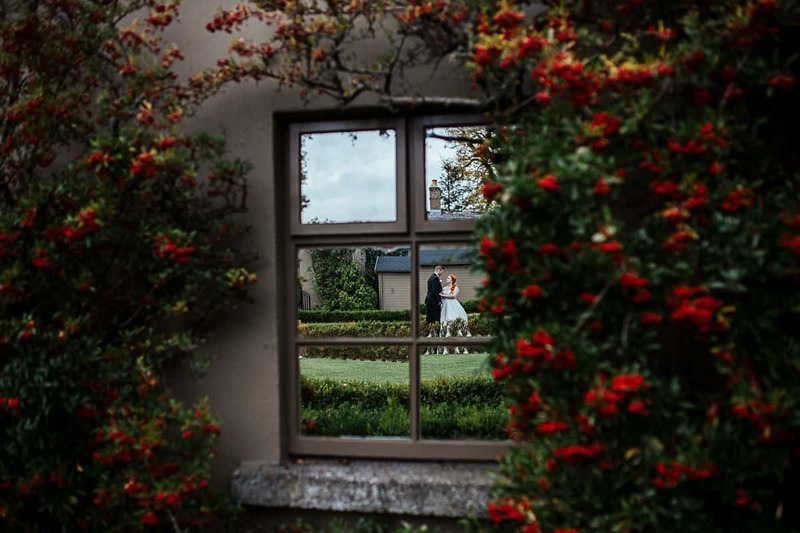 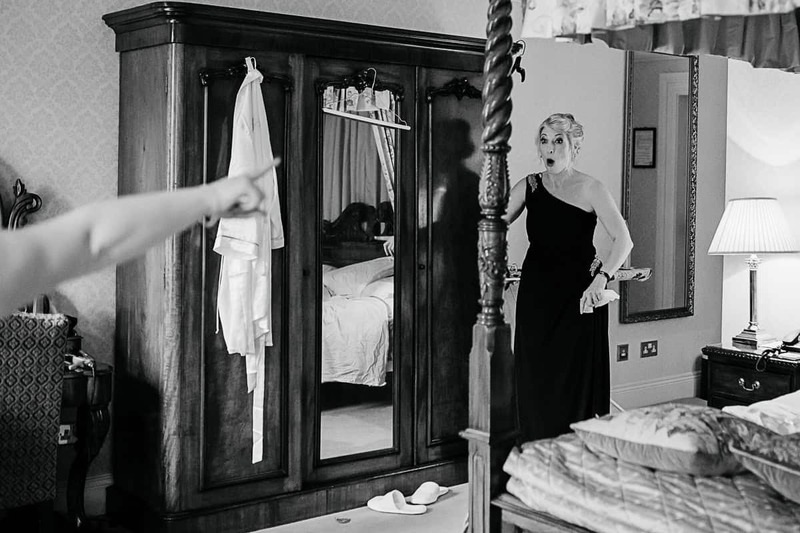 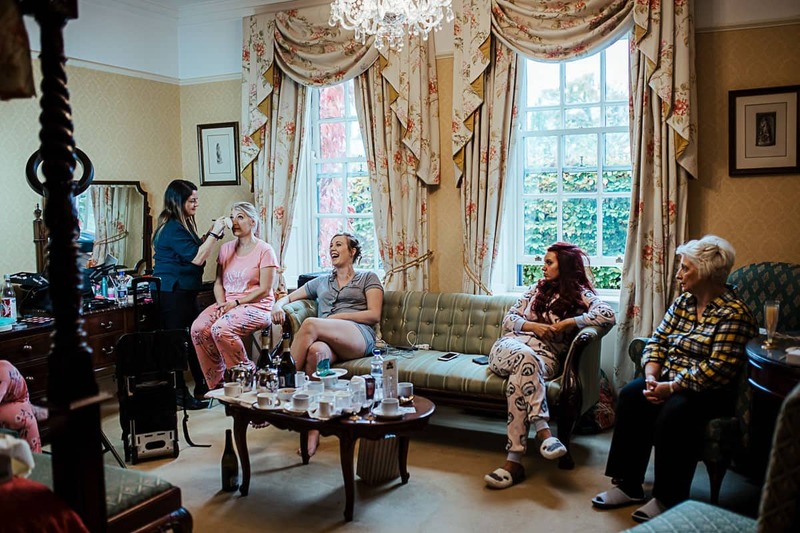 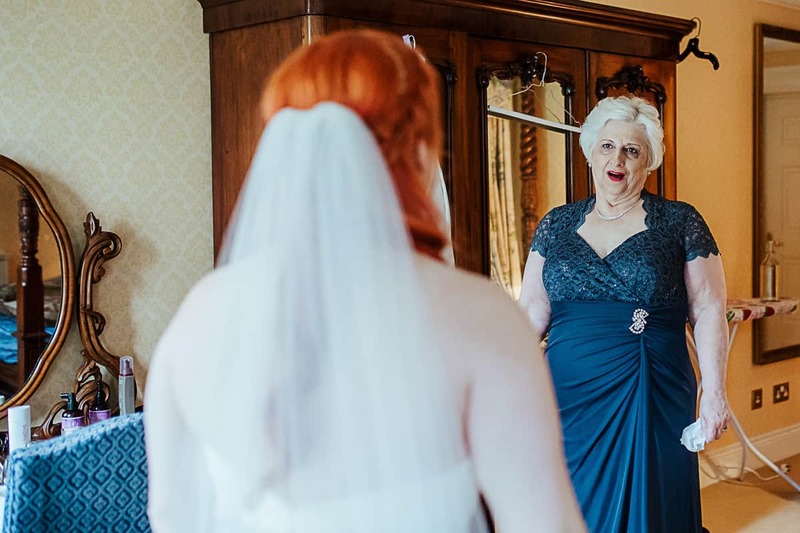 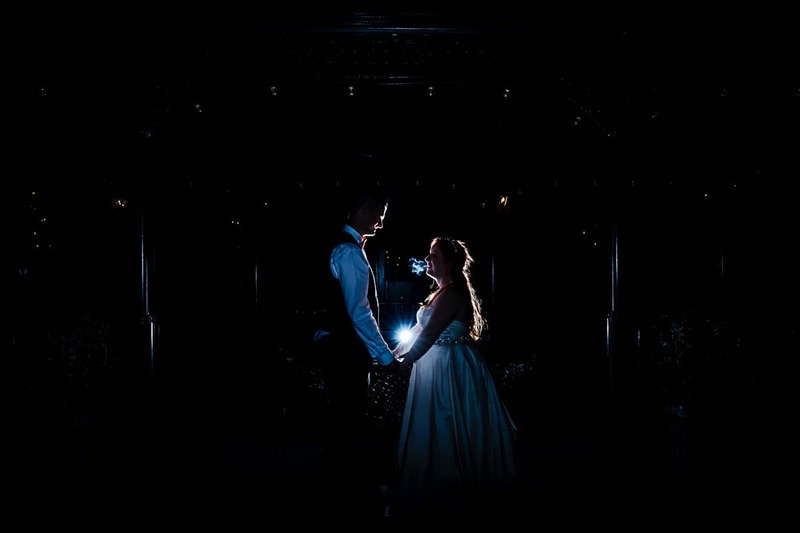 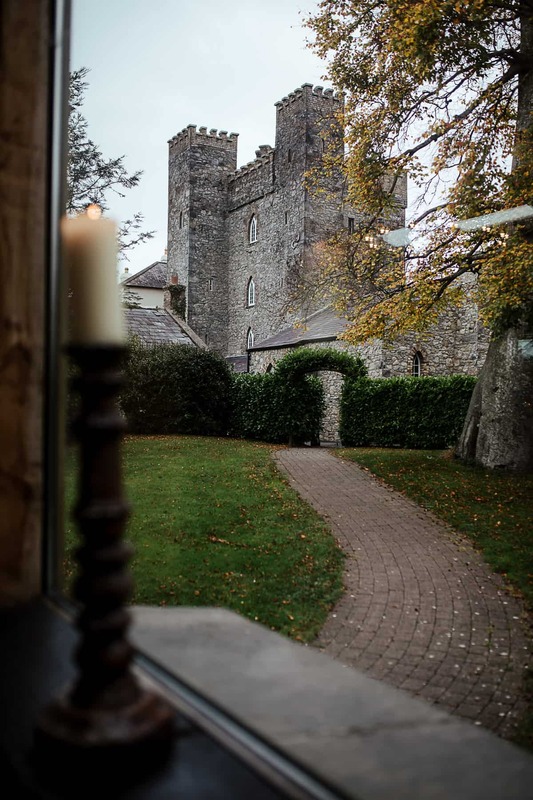 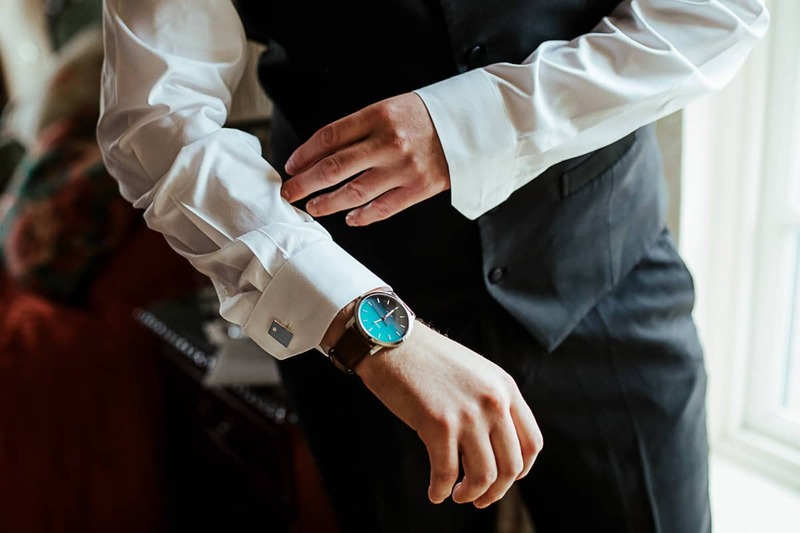 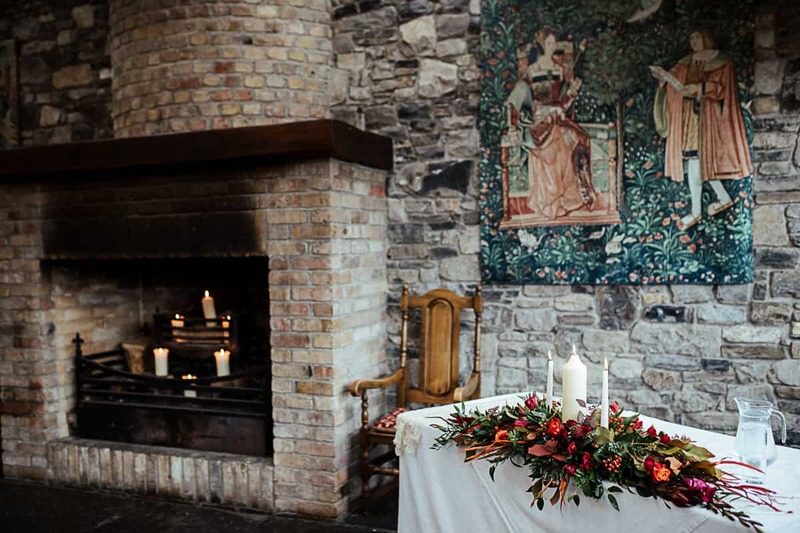 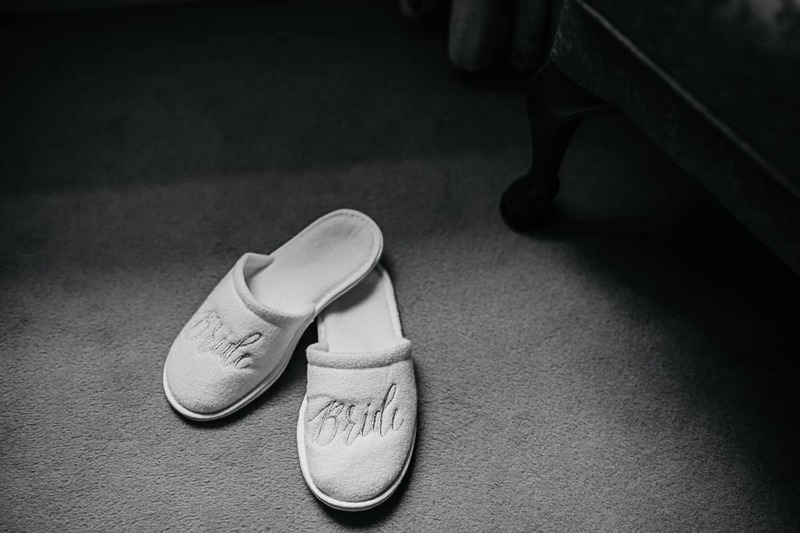 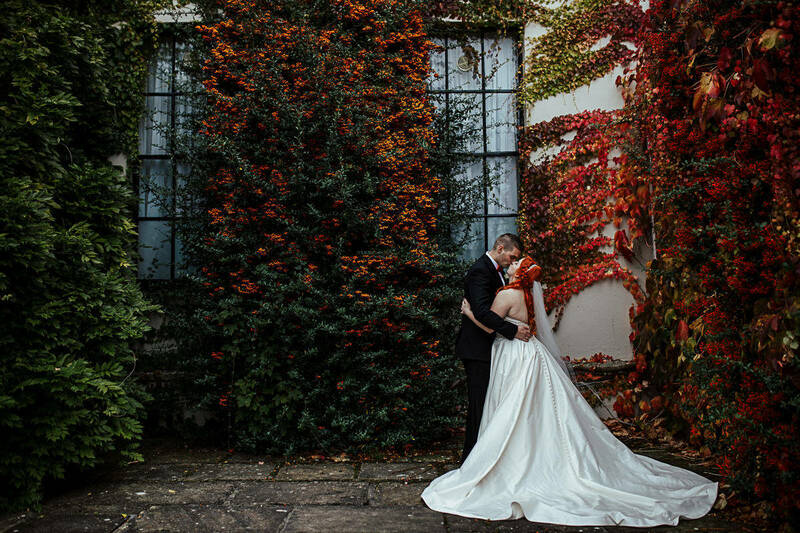 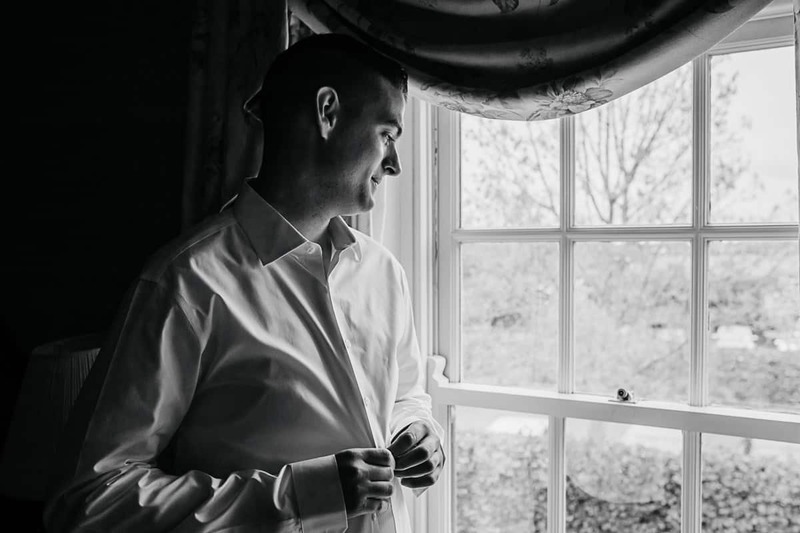 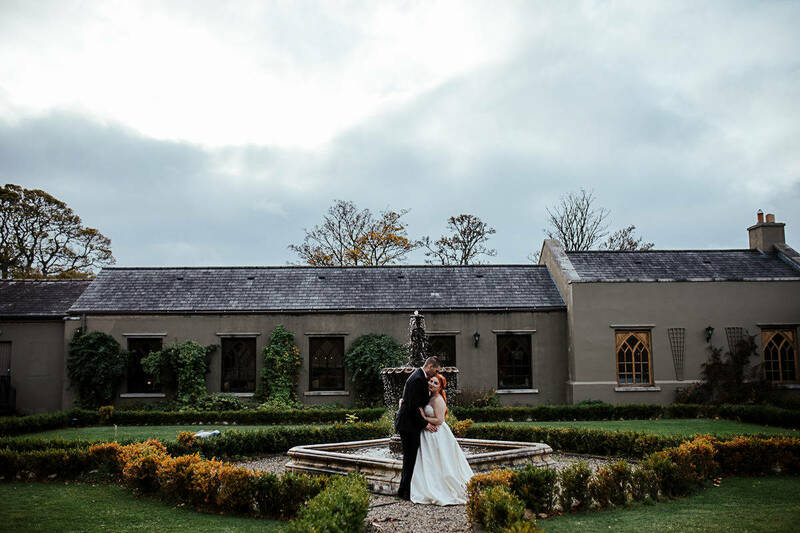 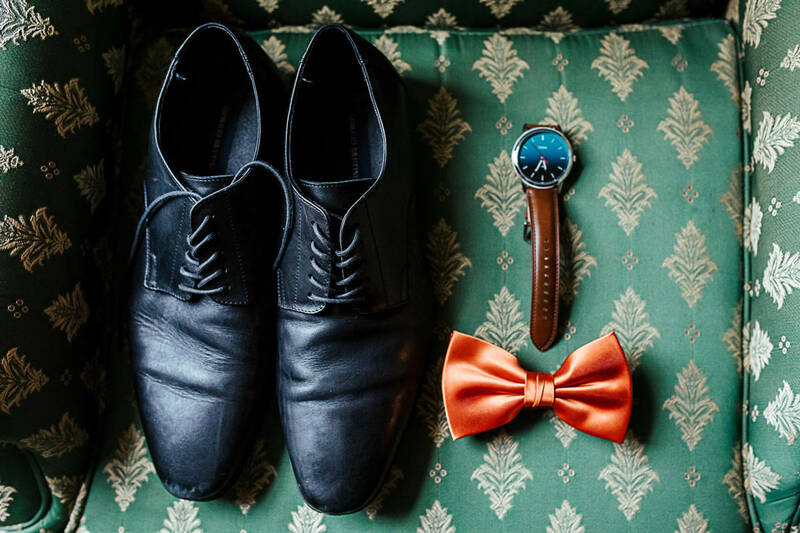 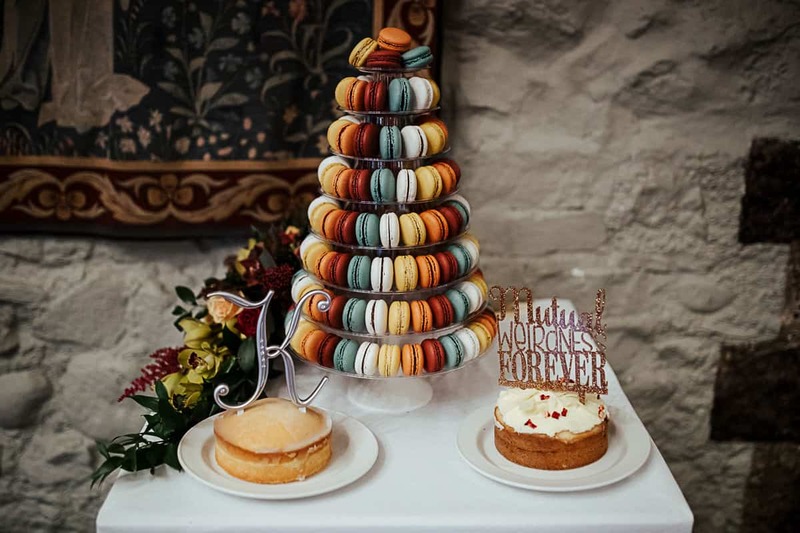 A first look is a must-have at Barberstown Castle wedding – there are so many beautiful nooks! 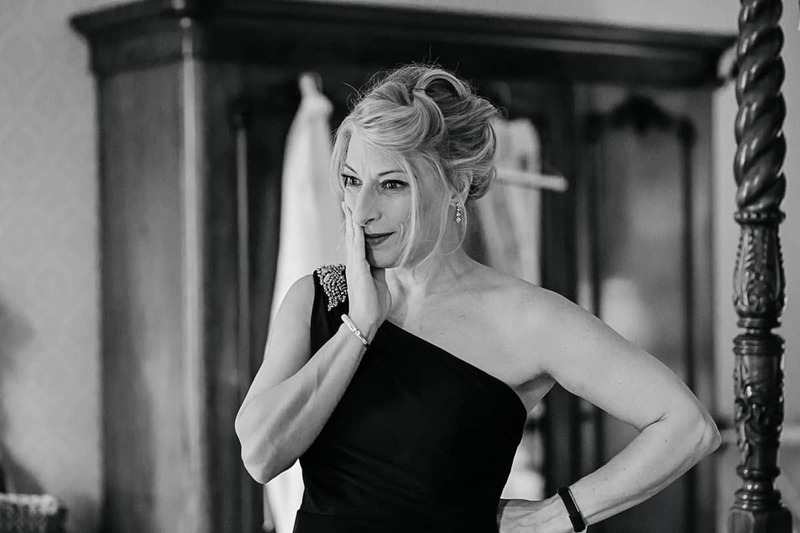 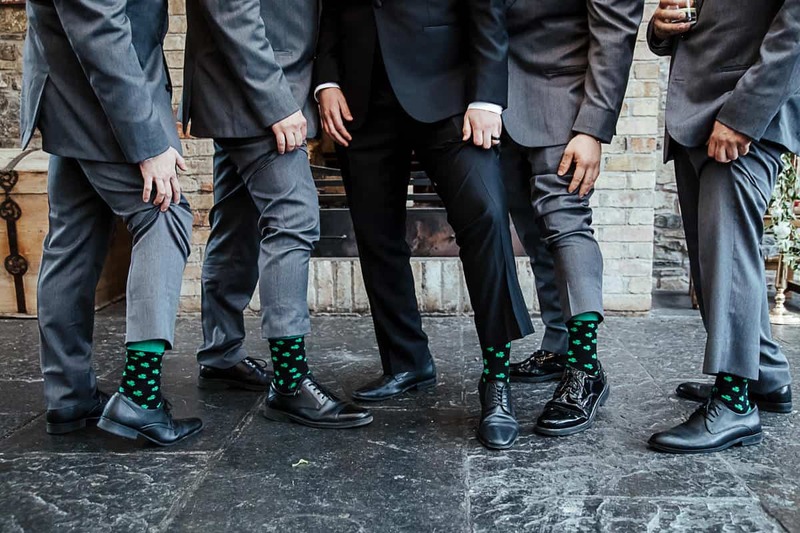 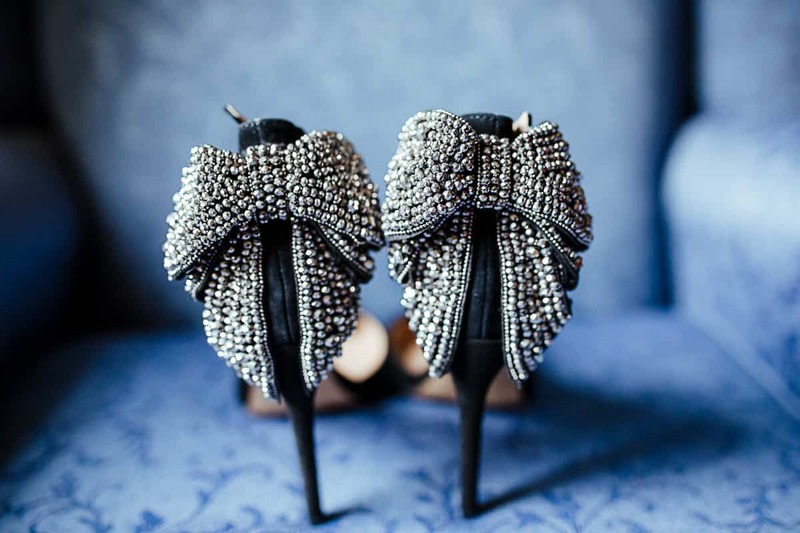 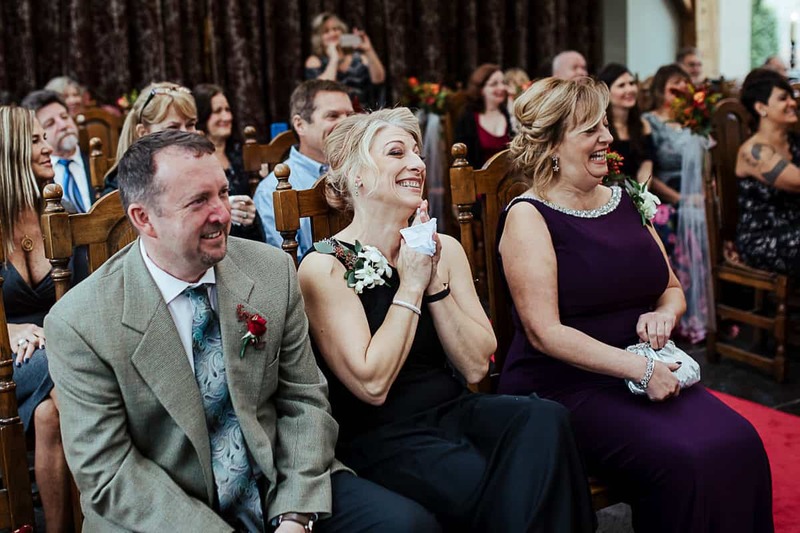 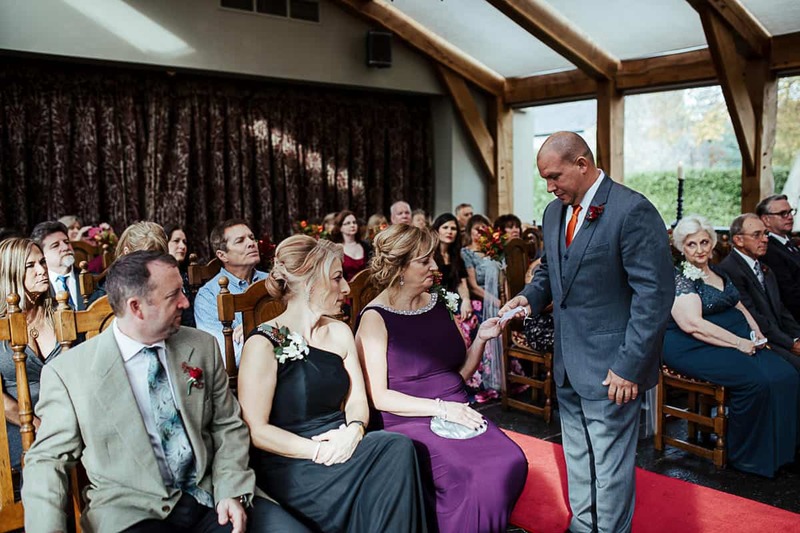 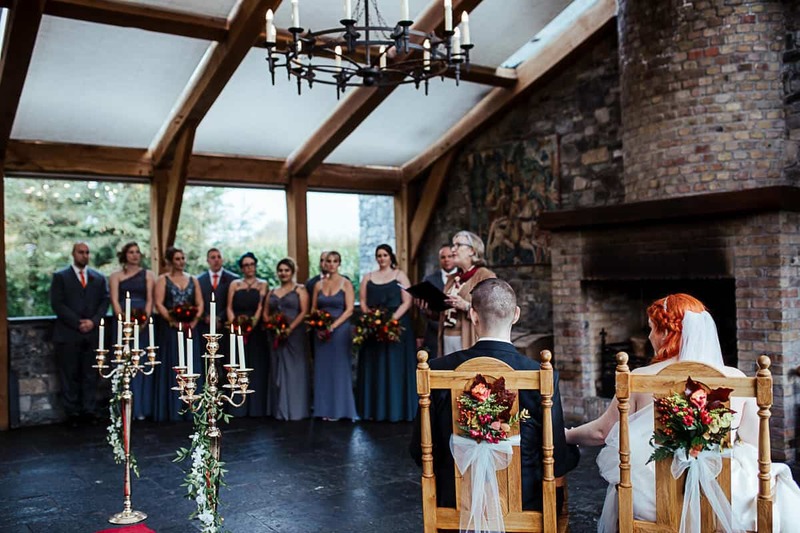 The ceremony was one of the highlights of the day – sweet, personal and very stylish. 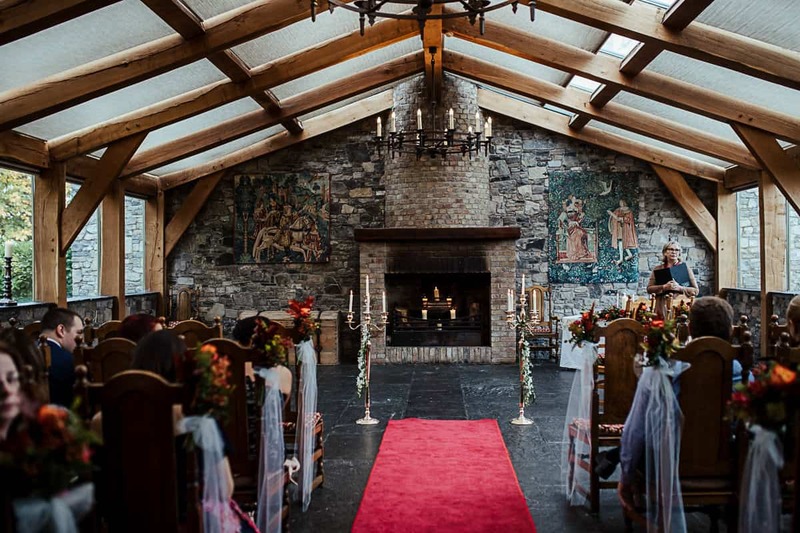 Barberstown Castle has a gorgeous ceremony room with skylights and colourful tapestries. 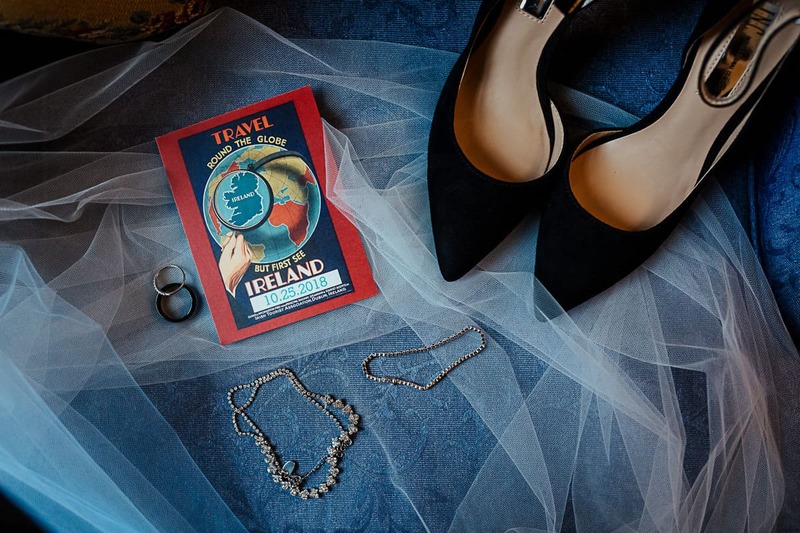 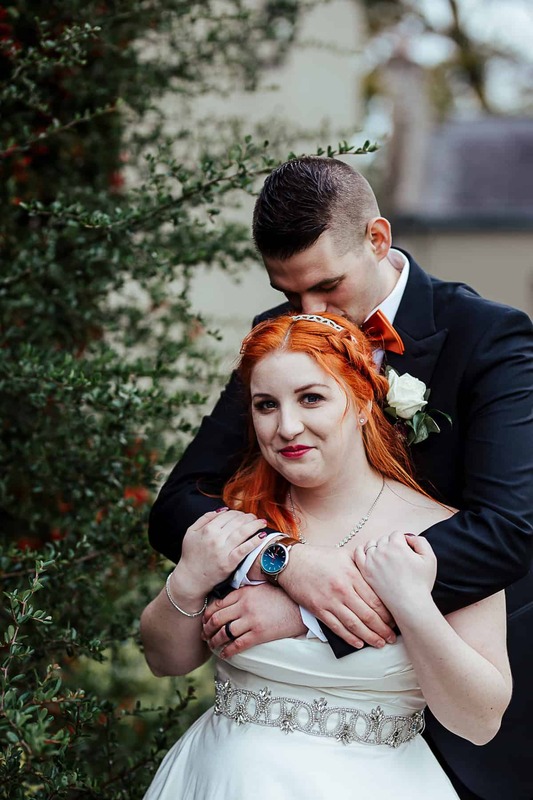 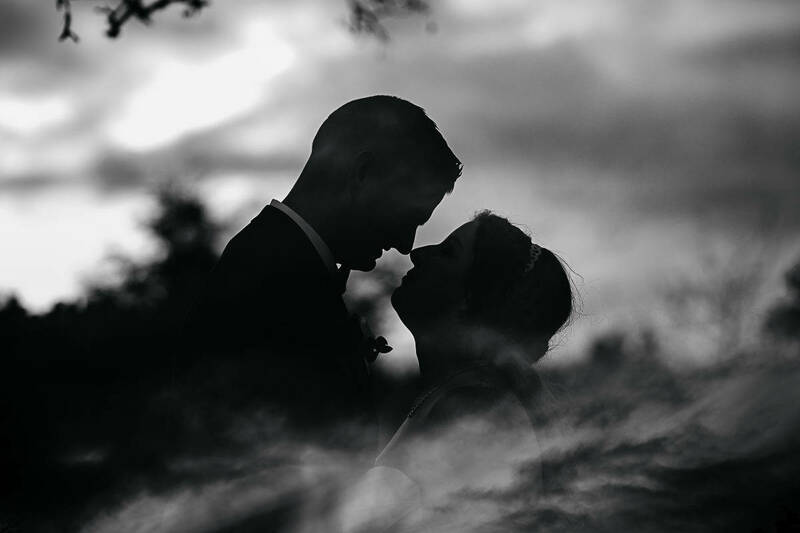 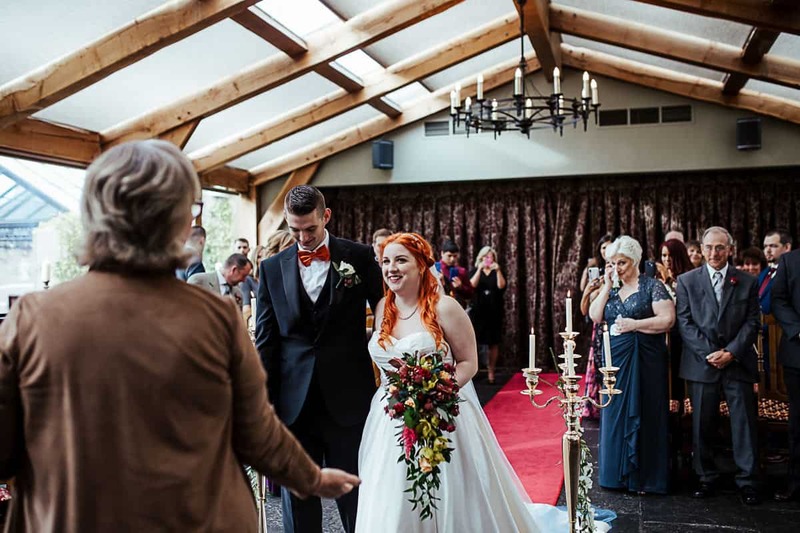 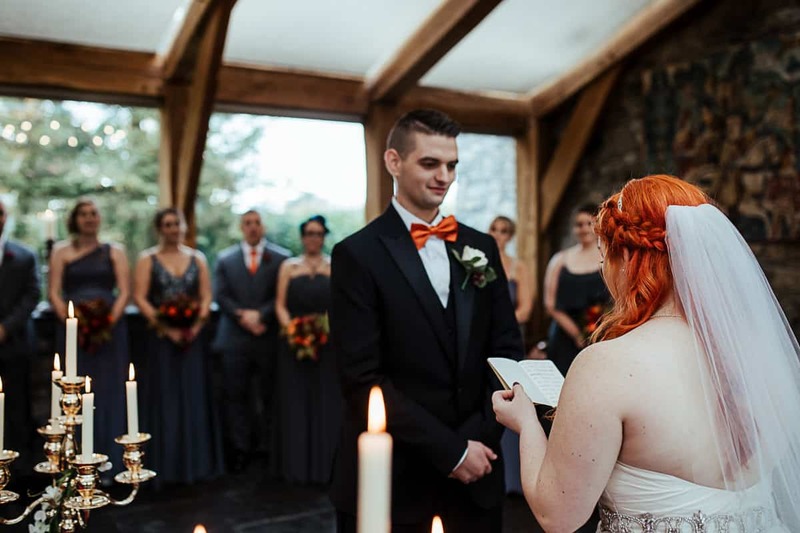 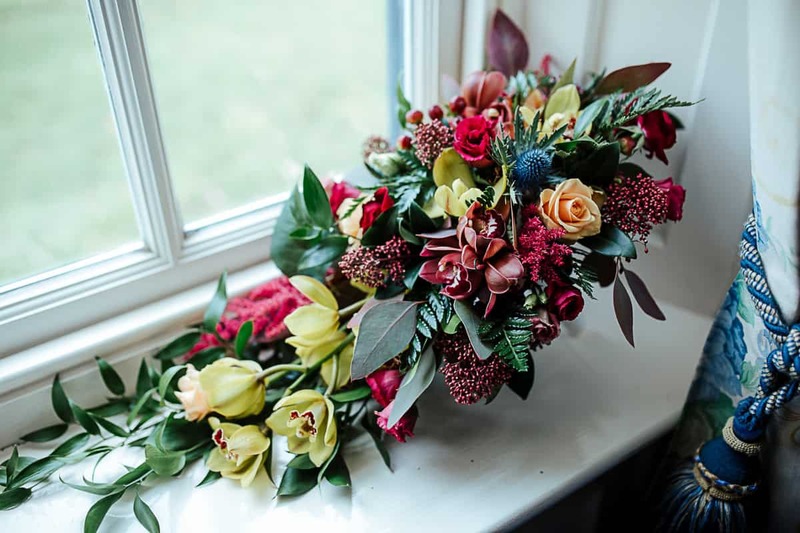 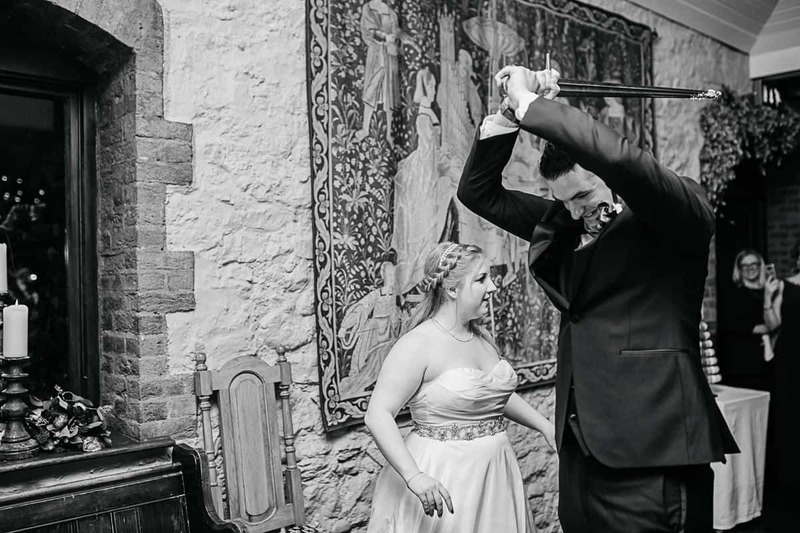 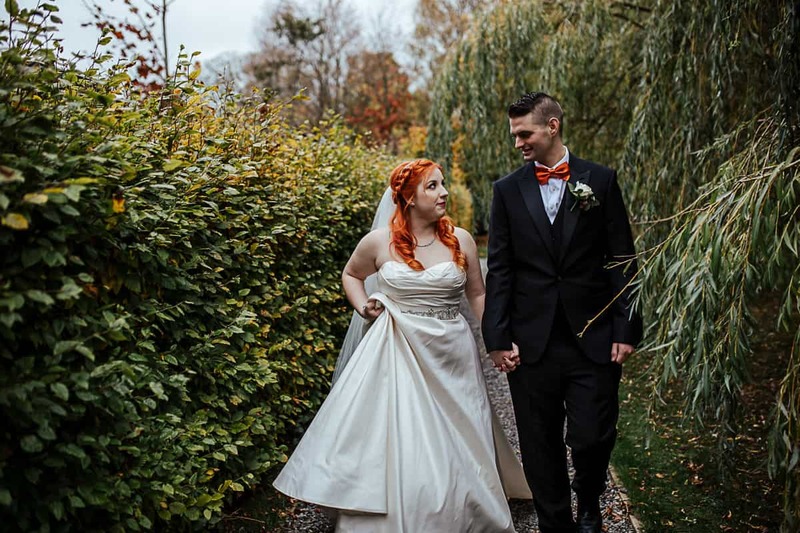 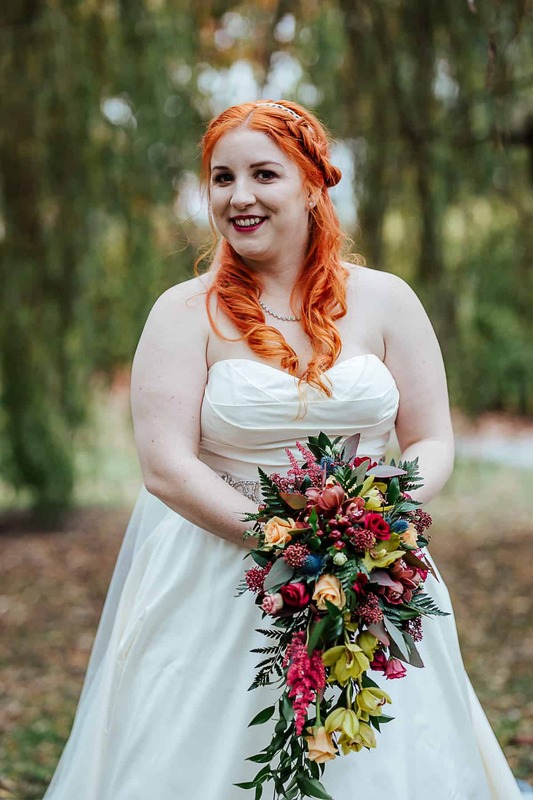 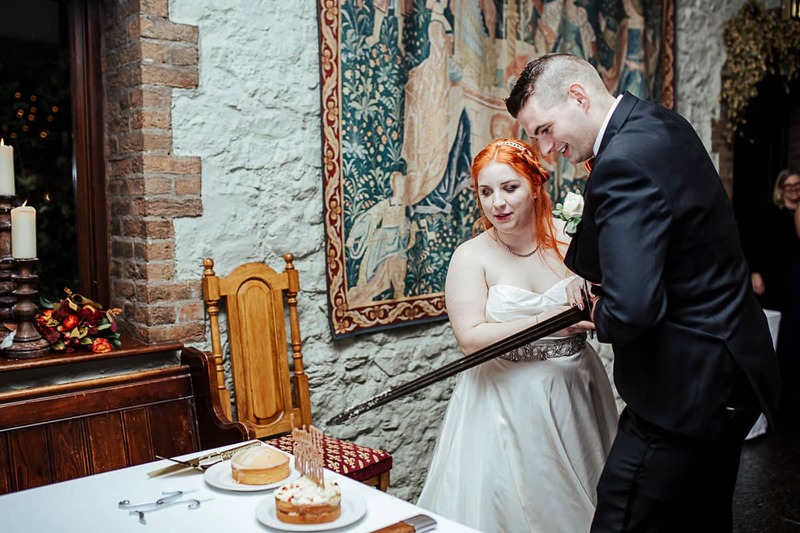 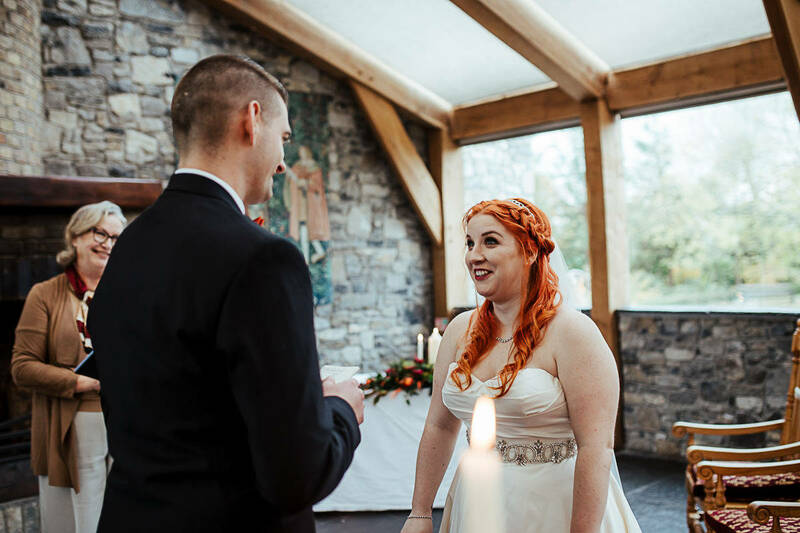 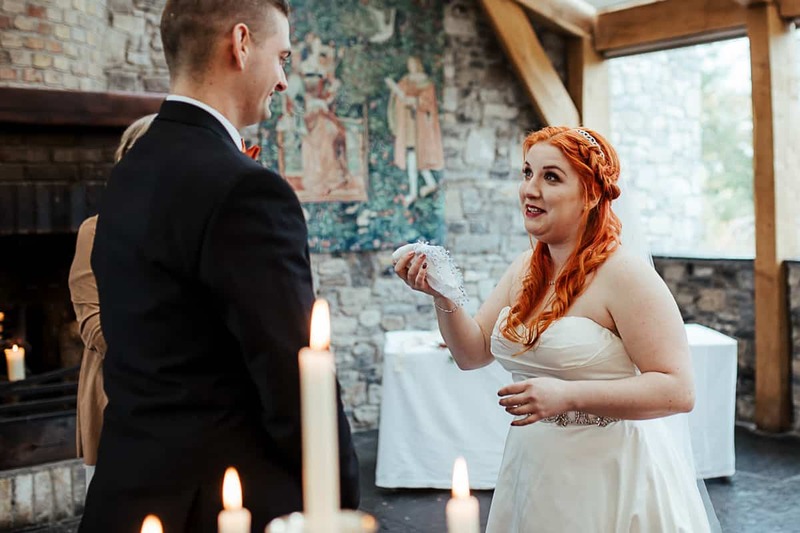 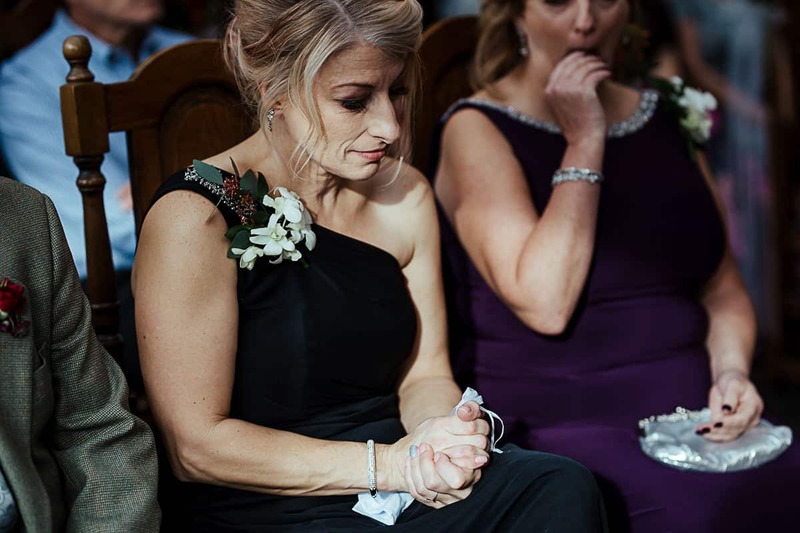 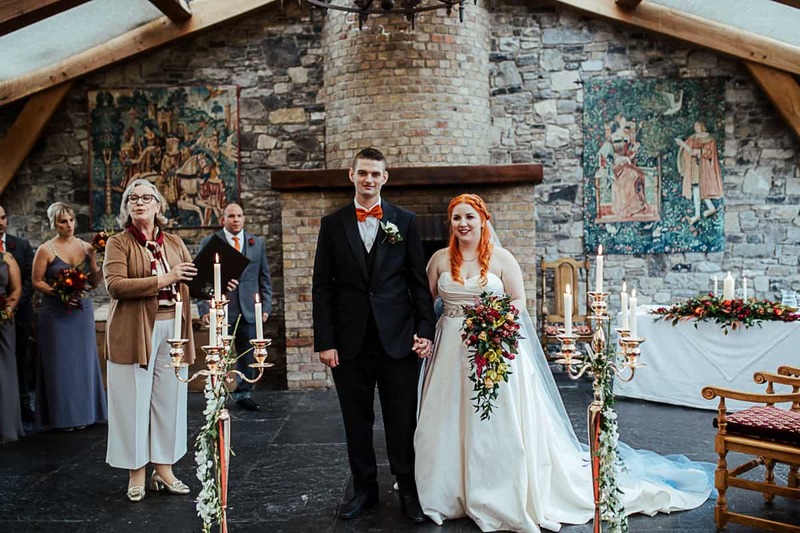 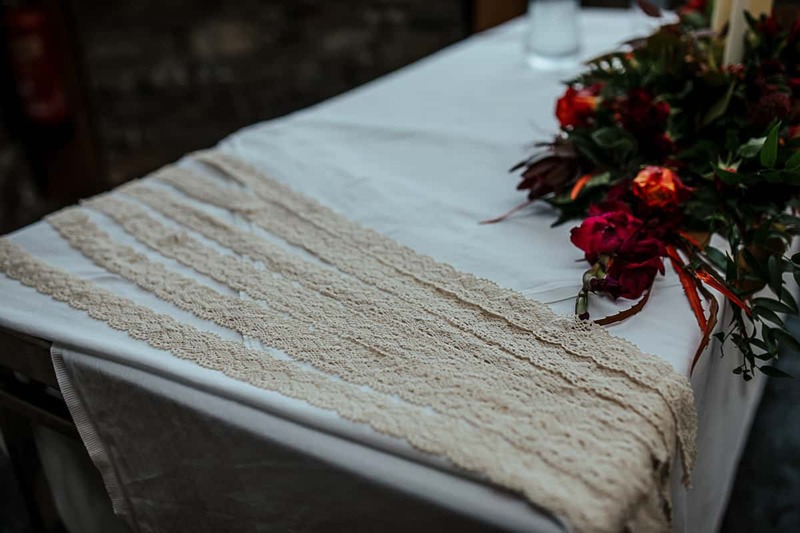 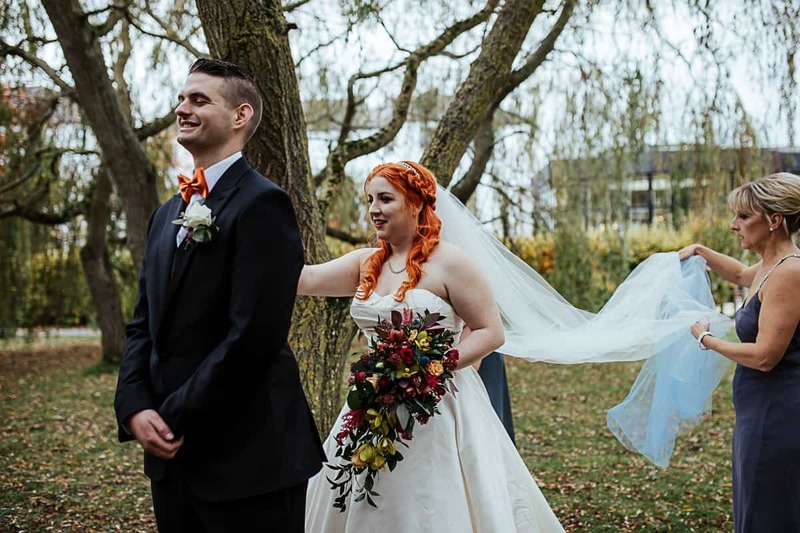 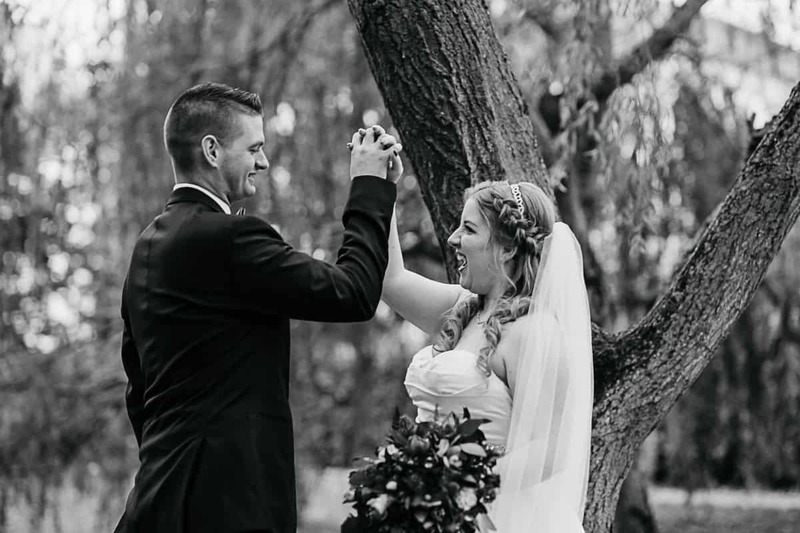 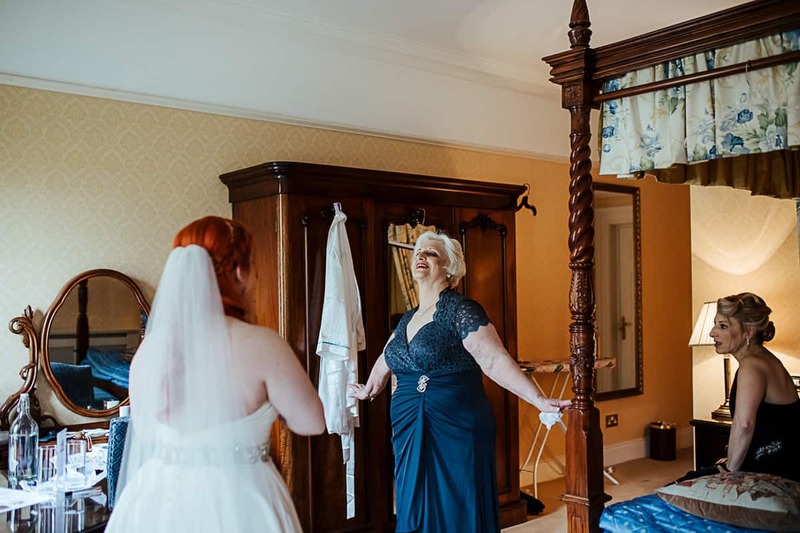 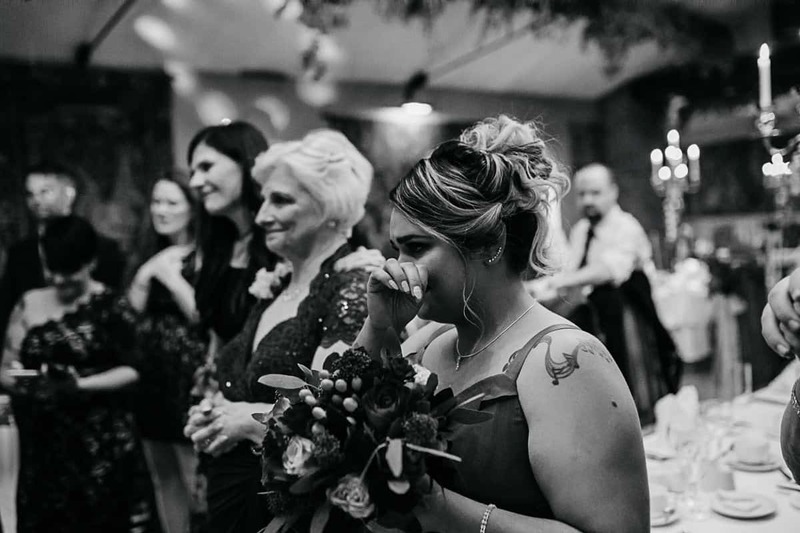 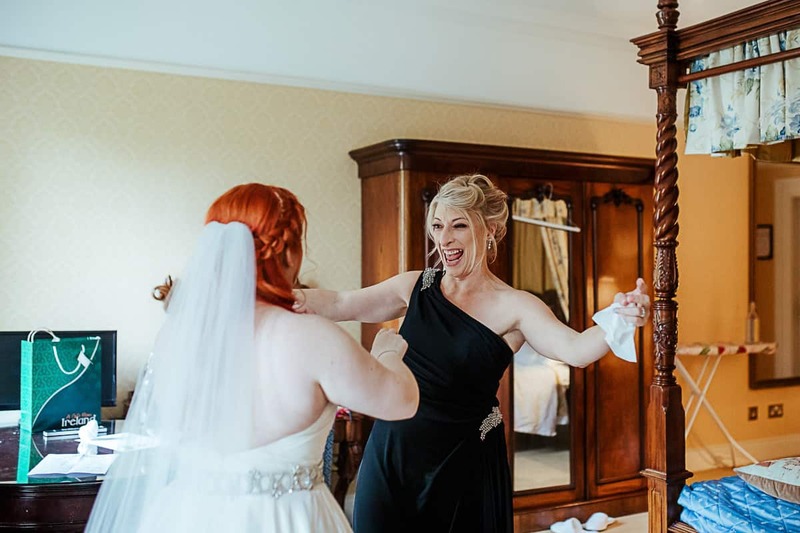 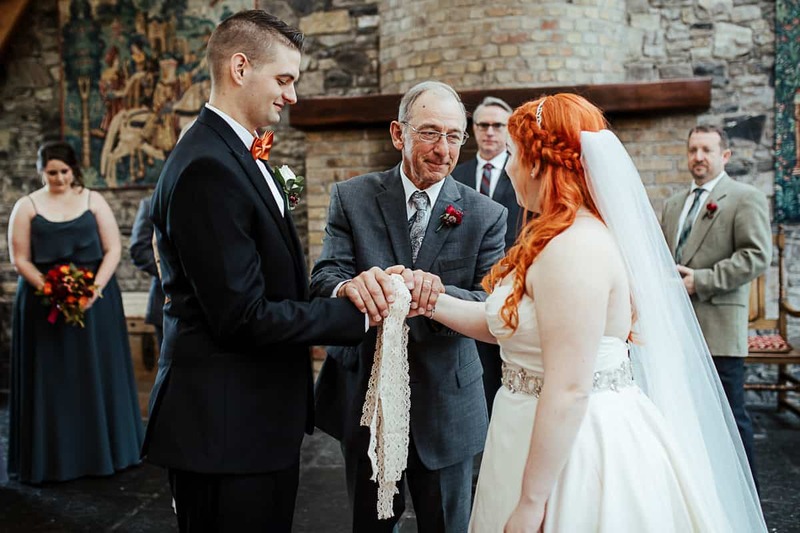 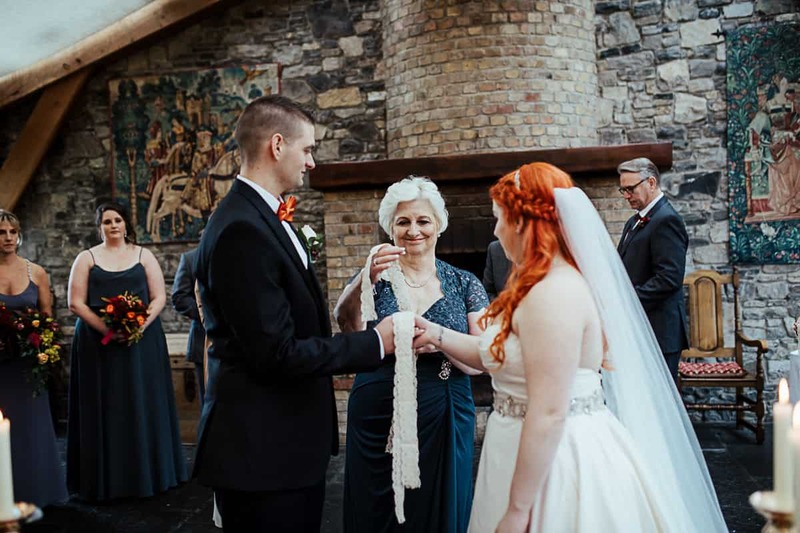 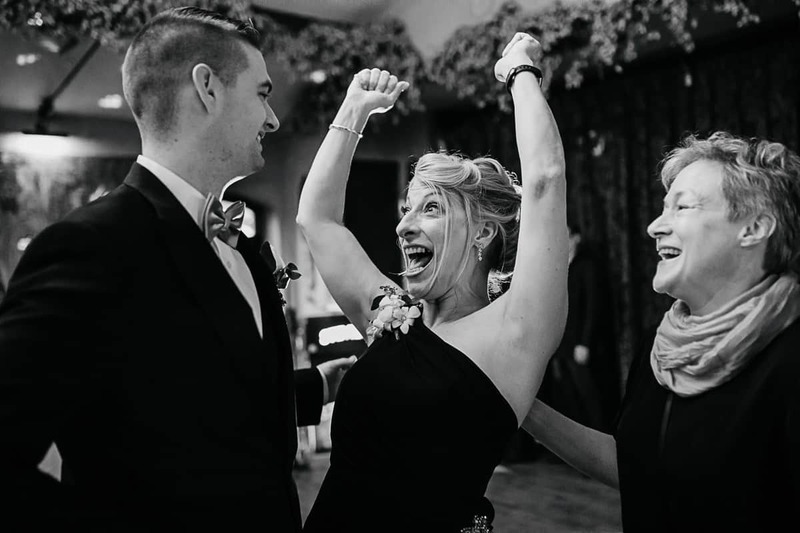 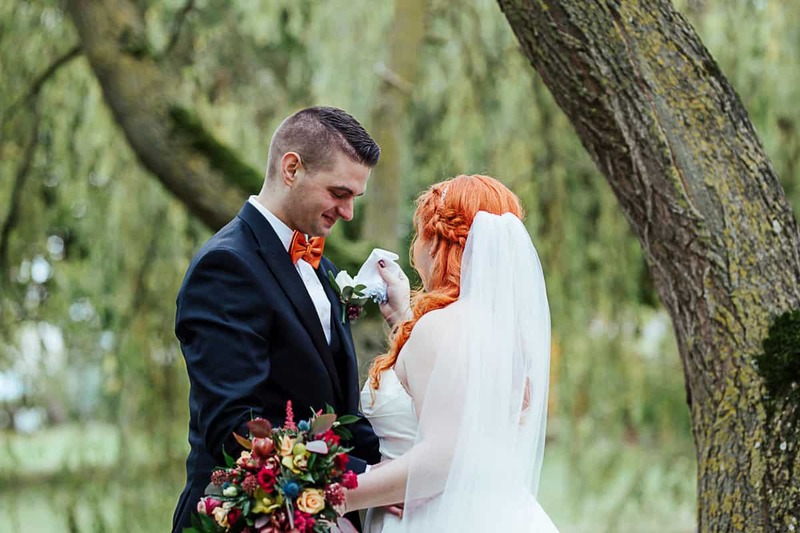 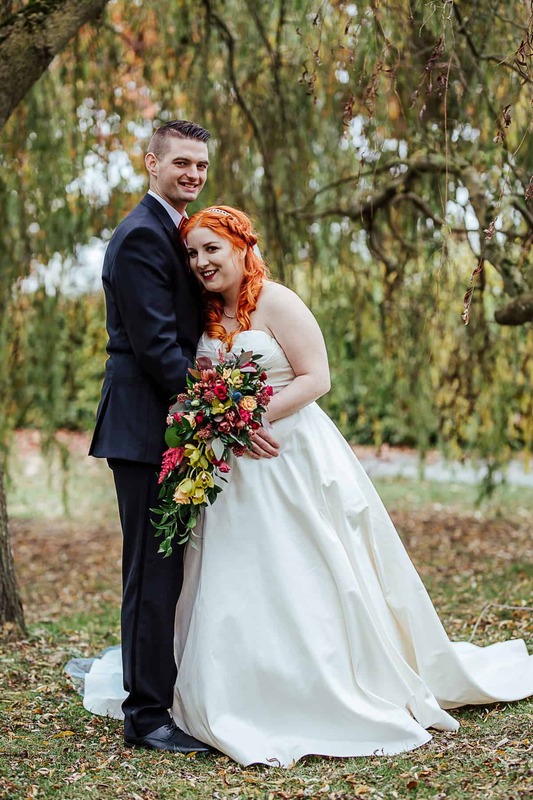 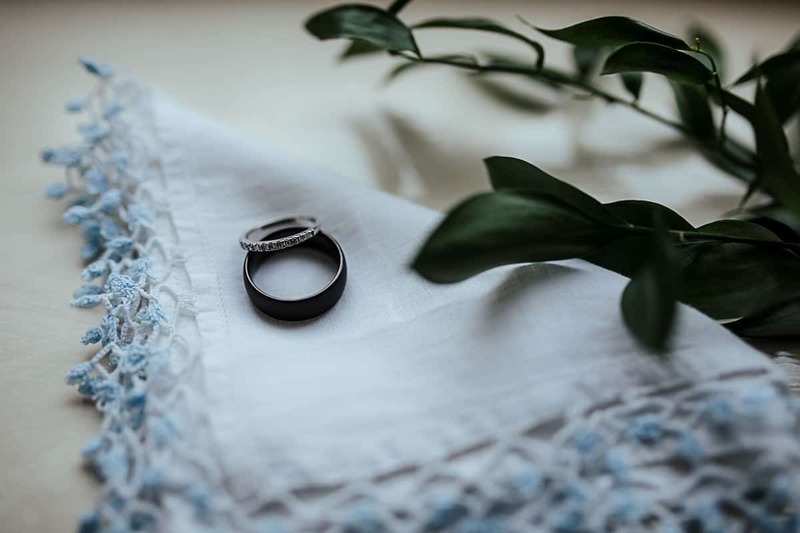 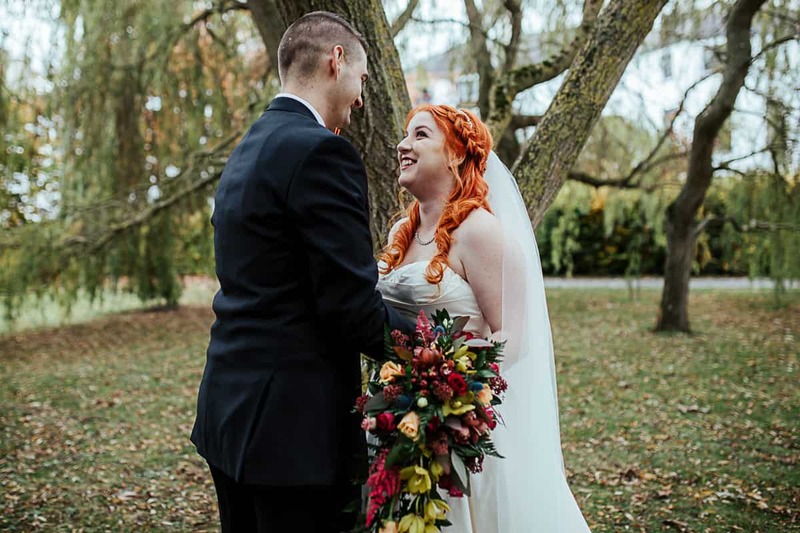 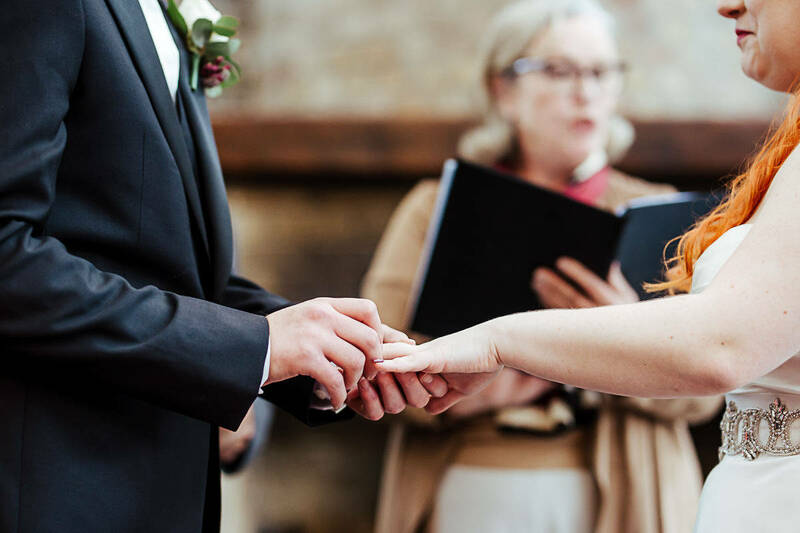 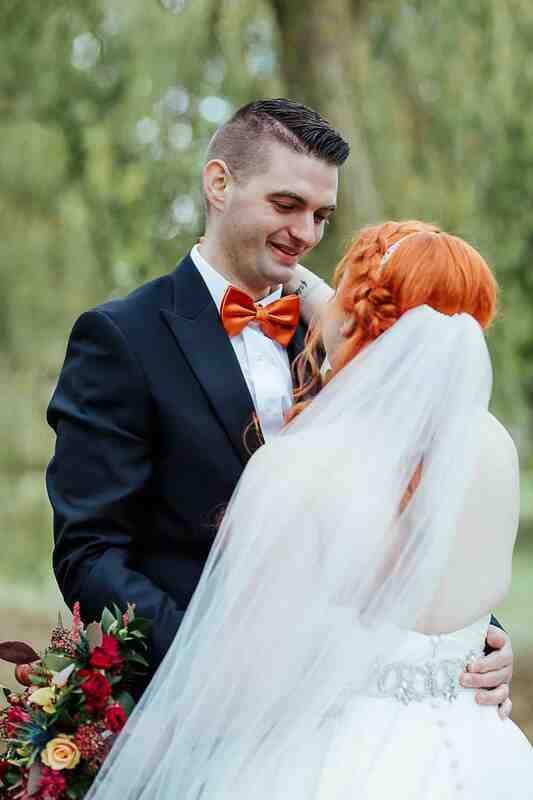 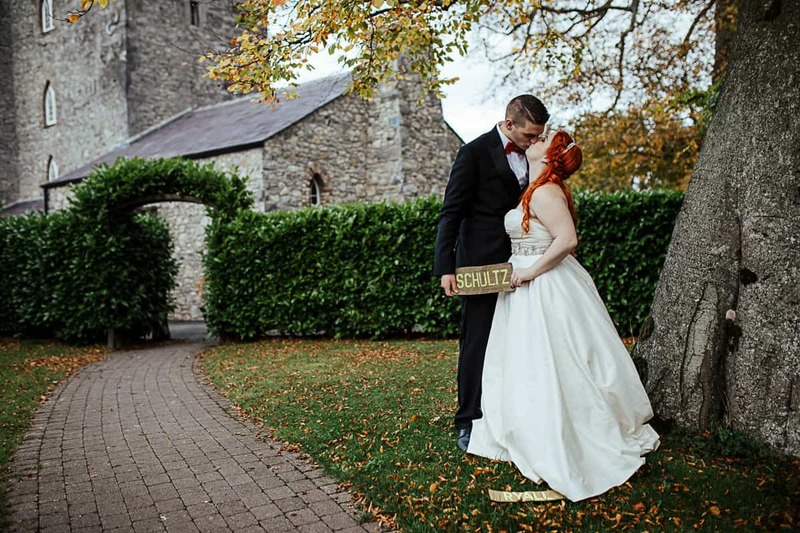 Sydney and Chris included some beautiful rituals – ring-warming and traditional Irish handfasting. 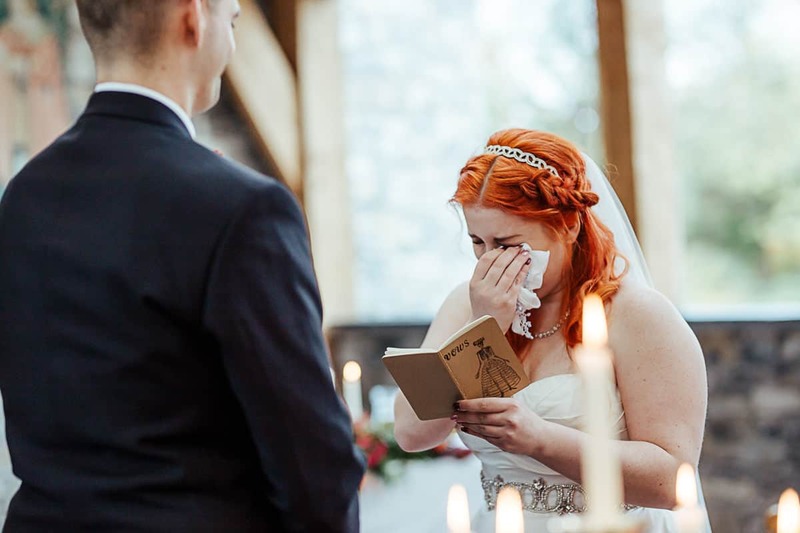 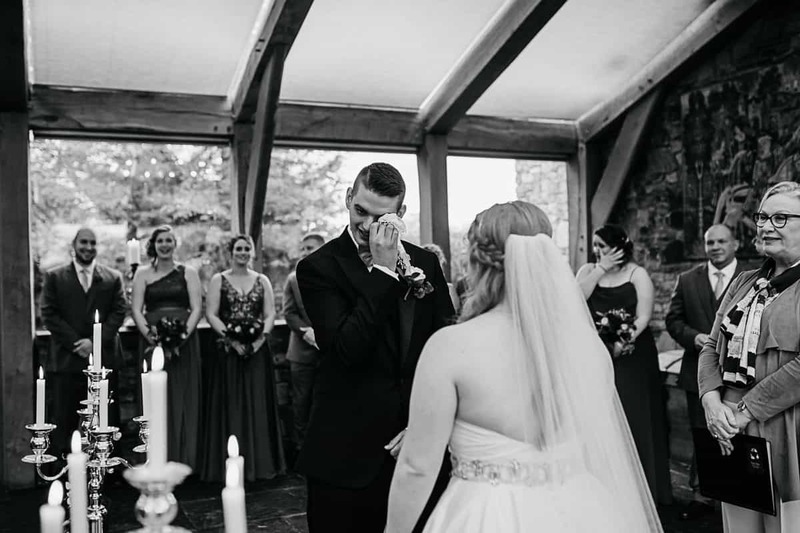 But it was the personalized vows they read to each other that brought everyone to tears. 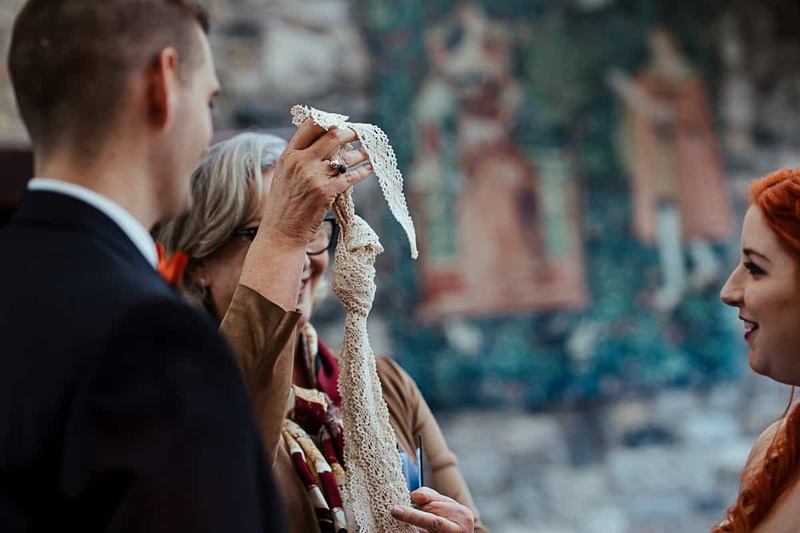 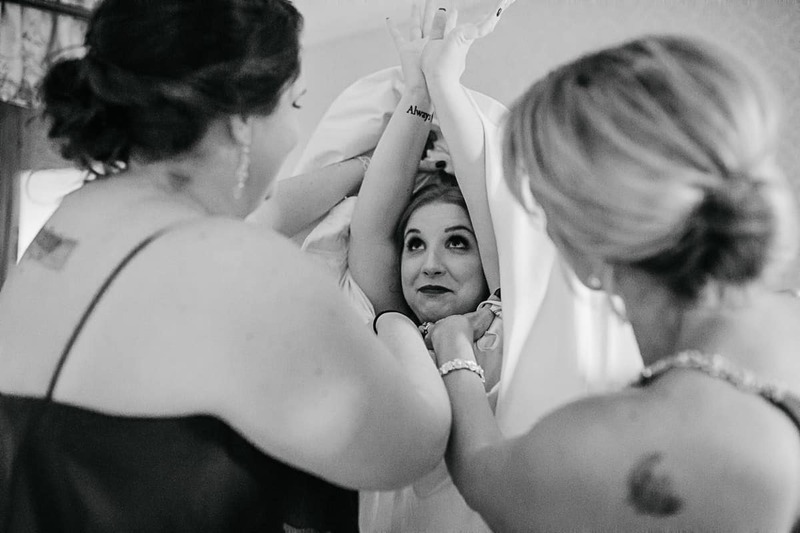 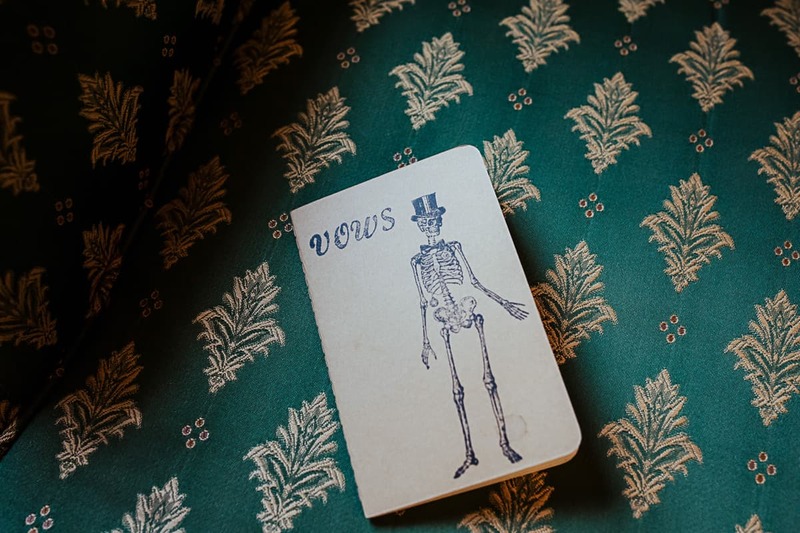 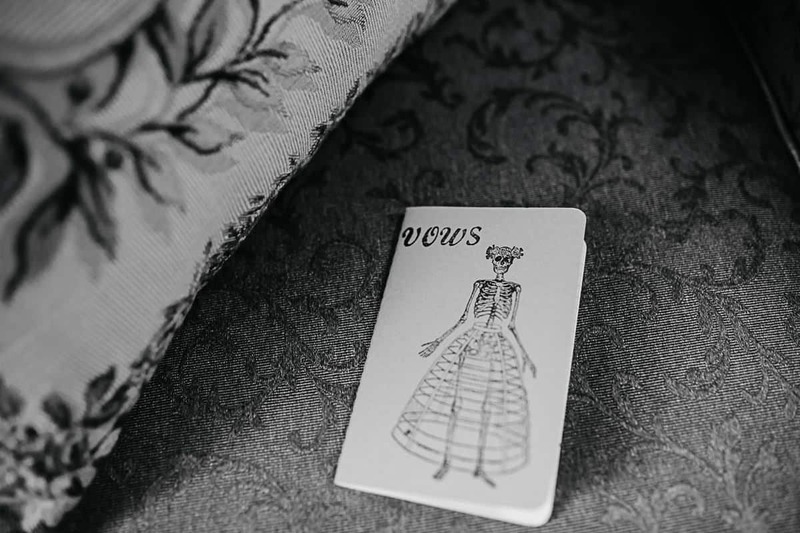 Thankfully Sydney’s something old was her grandmother’s handkerchief that came in handy! 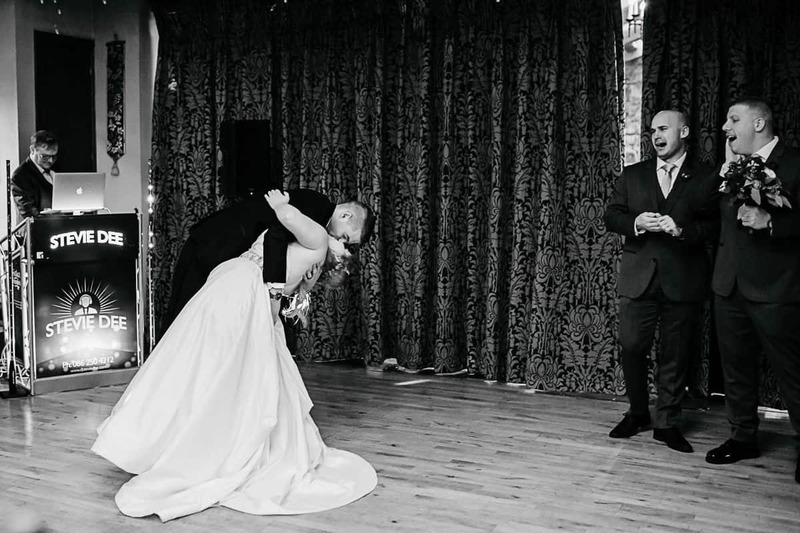 Following the American tradition, Sydney and Chris did their first dance before dinner. 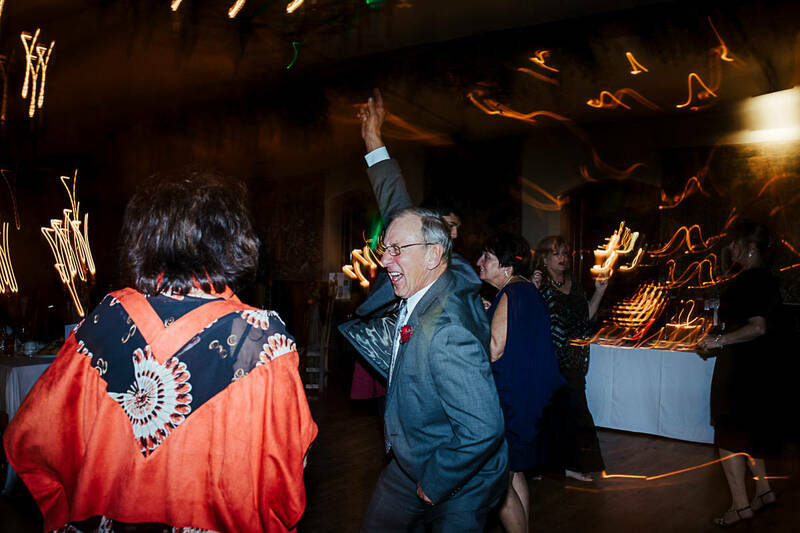 I love the idea of dancing before a heavy meal! 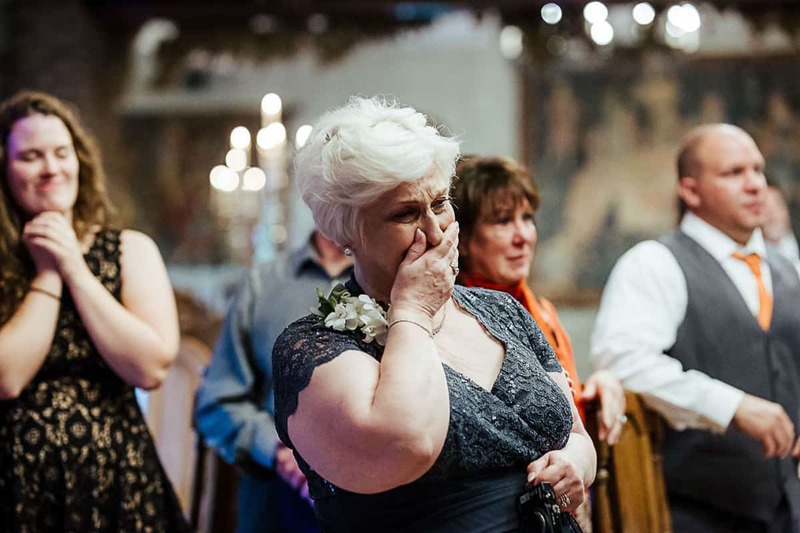 The dance came with a surprise. 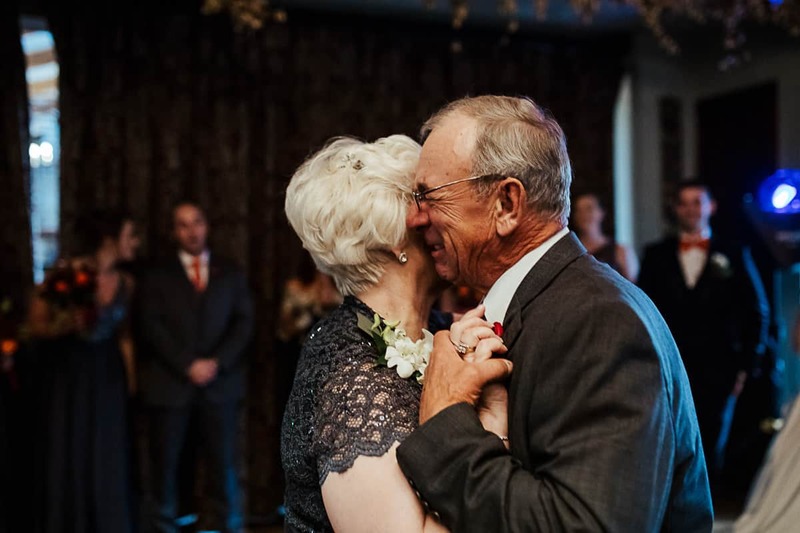 Sydney’s grandparents were celebrating their 50th wedding anniversary the next day. 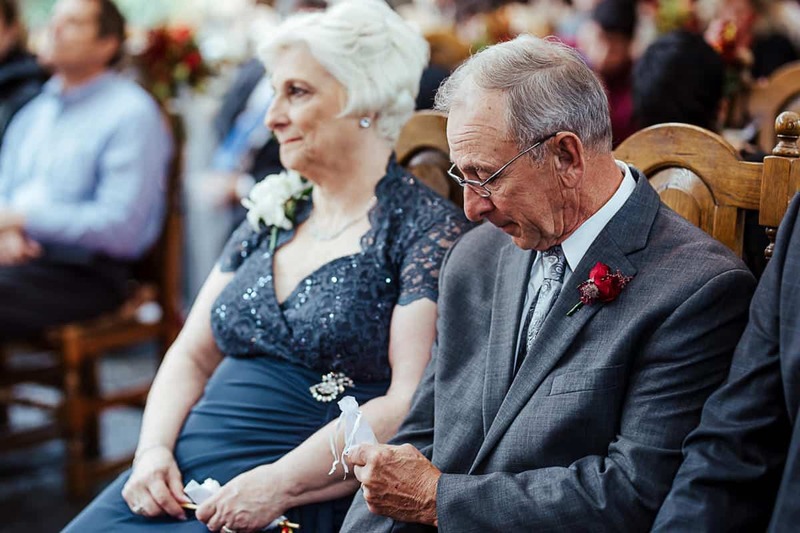 They had no idea what their granddaughter had organized for them! 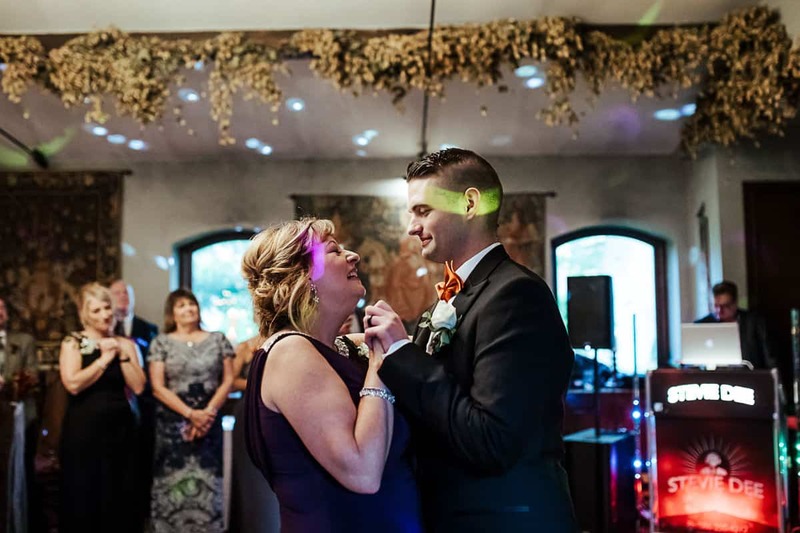 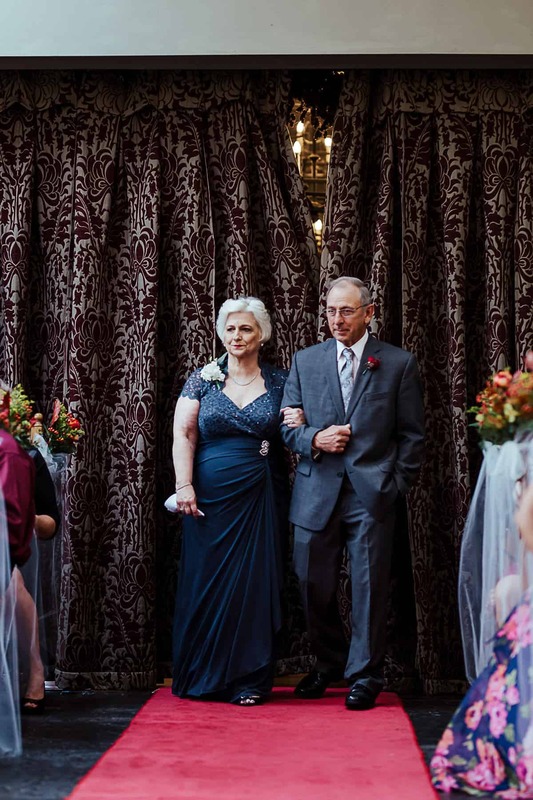 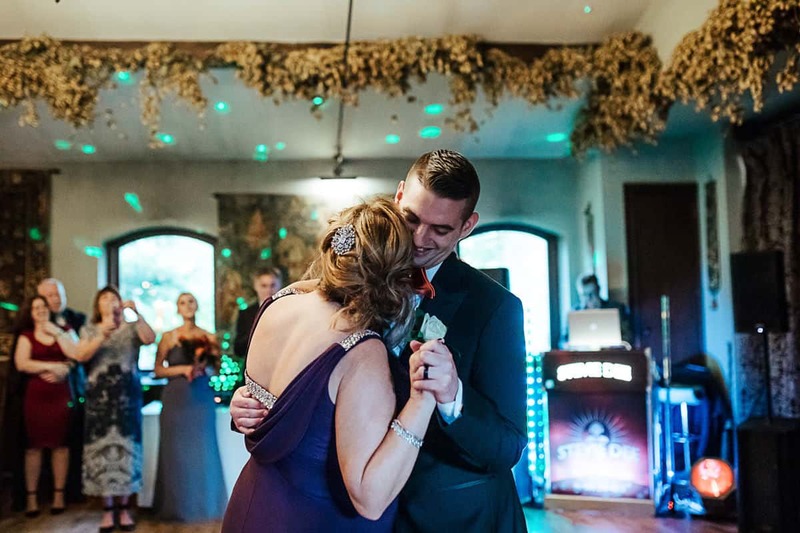 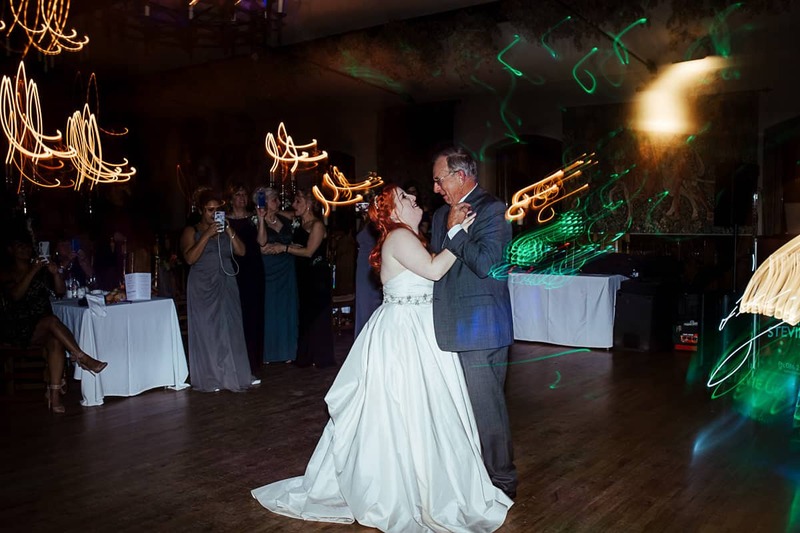 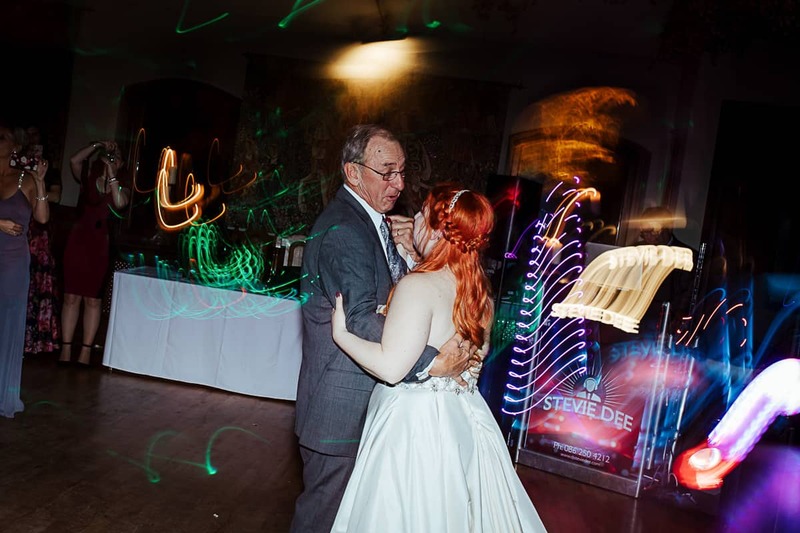 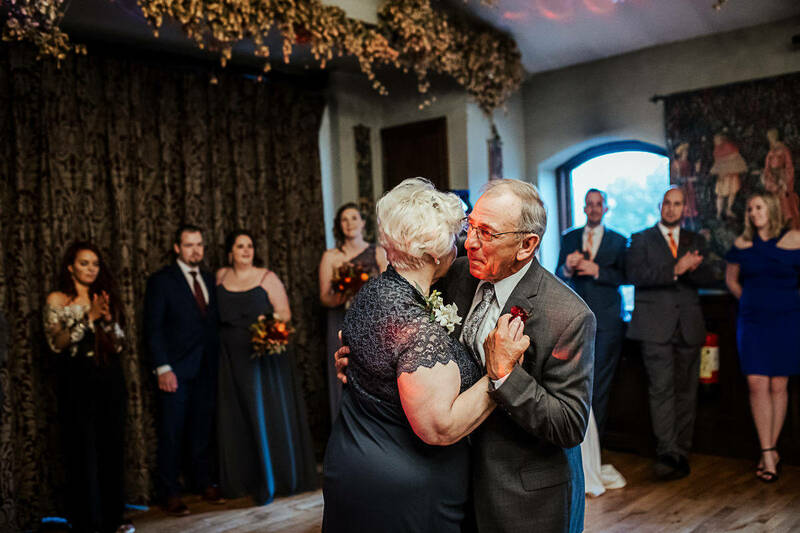 Suddenly the dancefloor was empty and the DJ put on “Happy Together” by the Turtles – their first dance of 50 years ago! 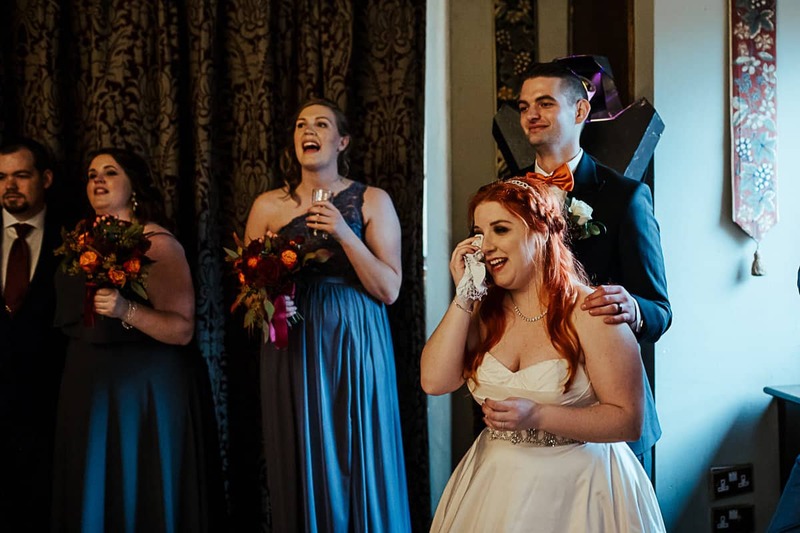 Their faces say it all. 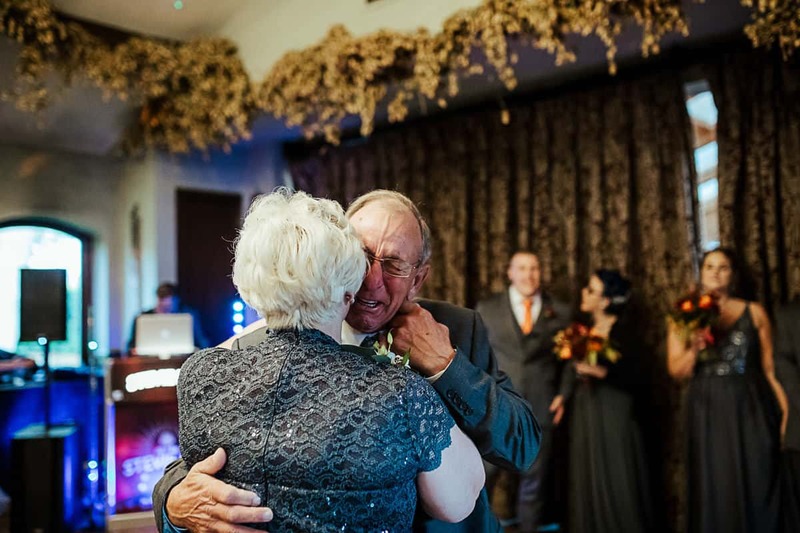 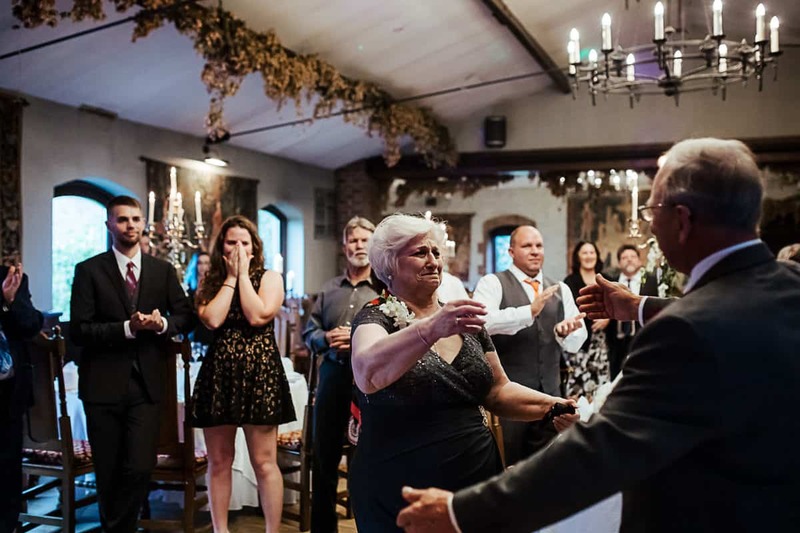 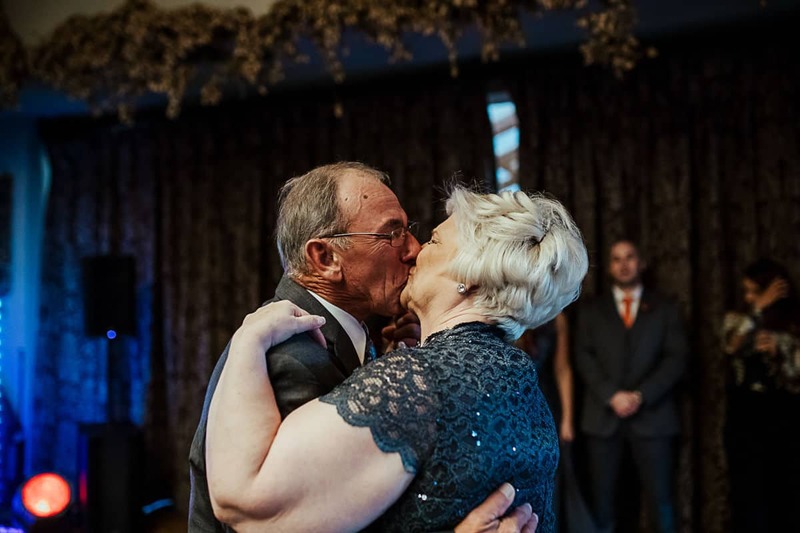 There wasn’t a dry eye in the room as Sydney’s grandparents danced cheek to cheek.